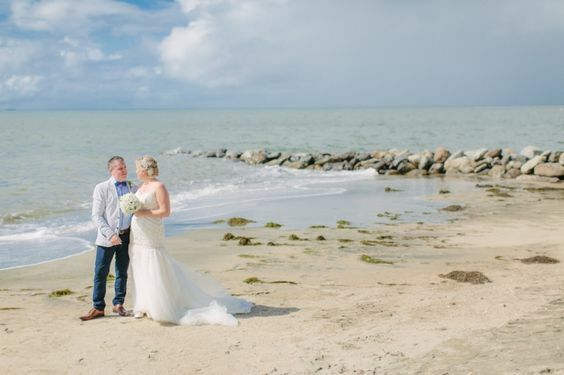 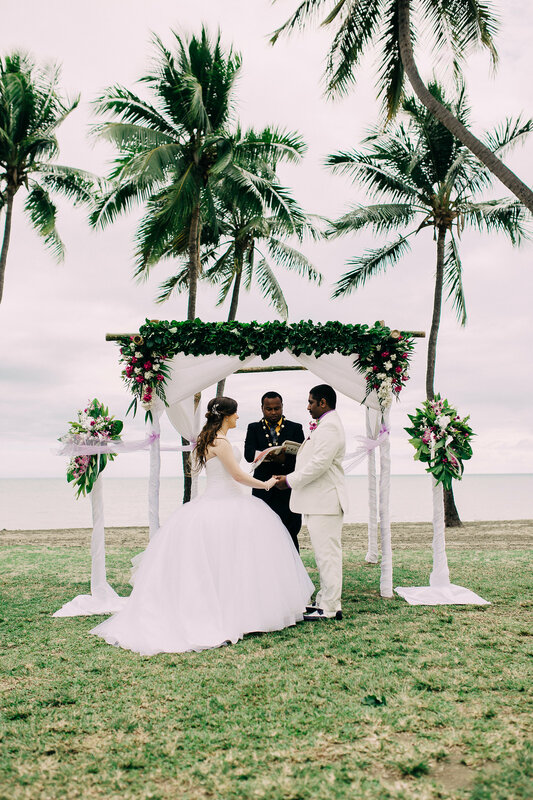 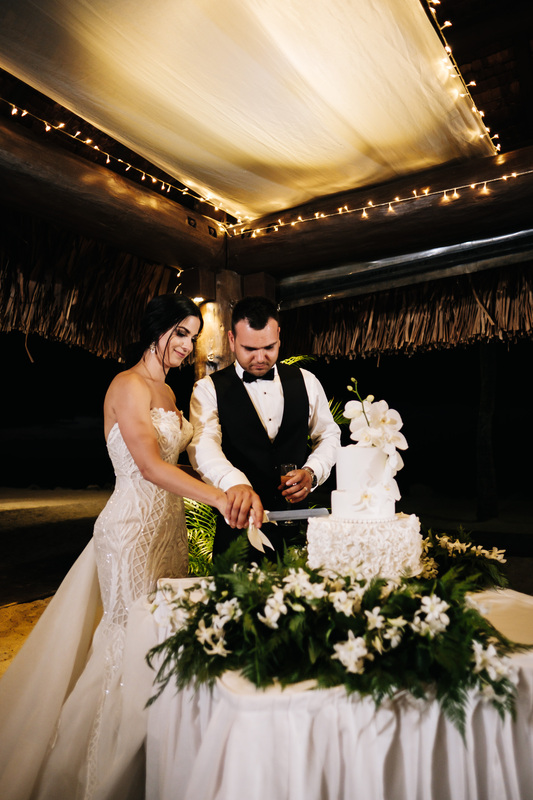 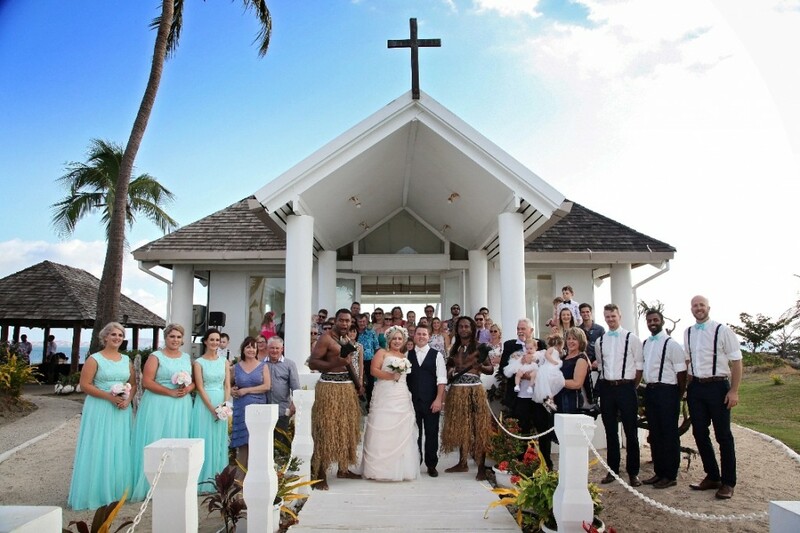 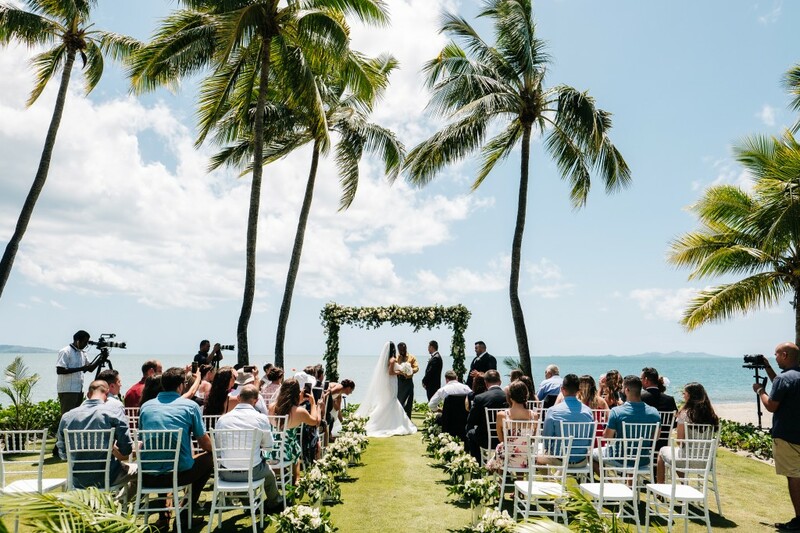 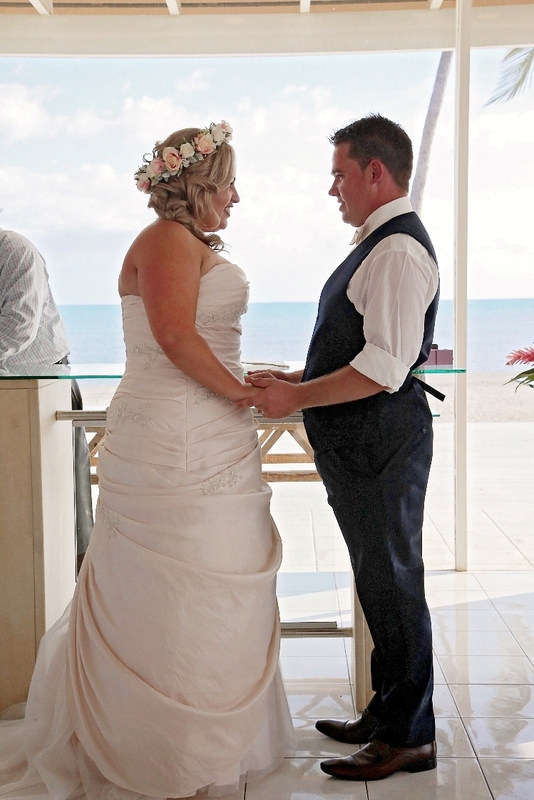 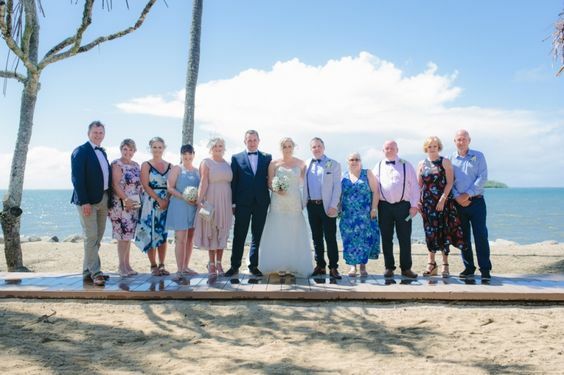 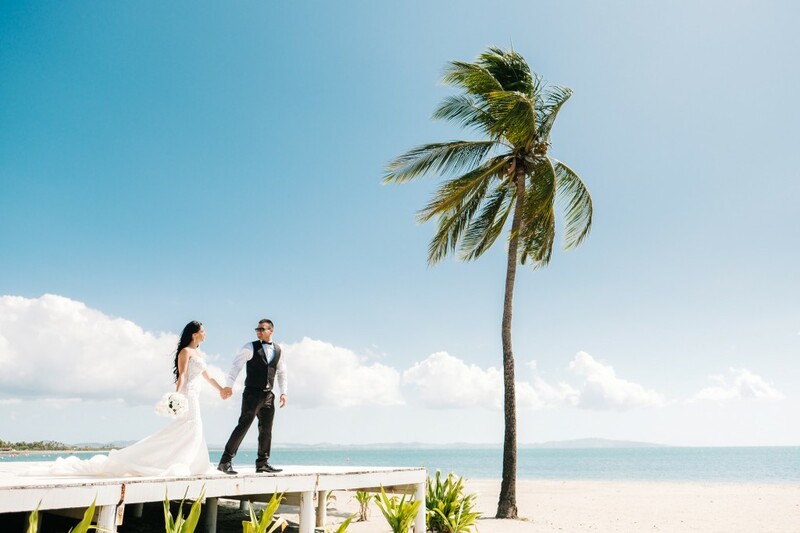 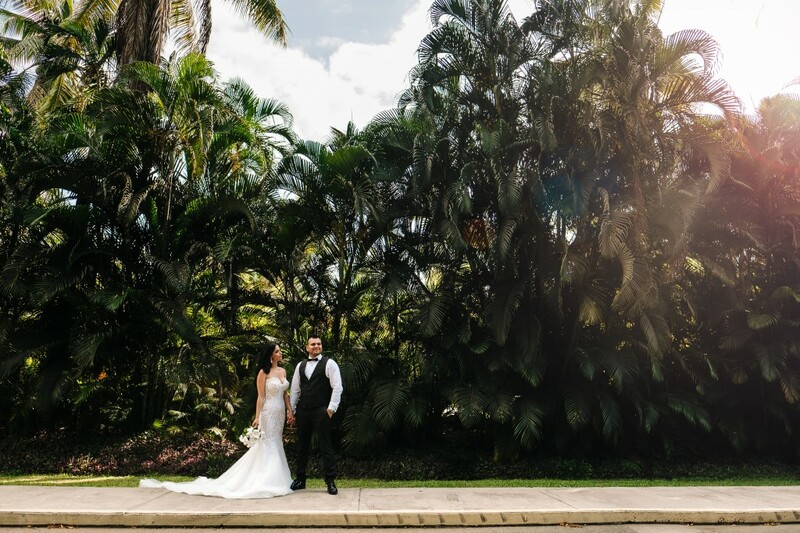 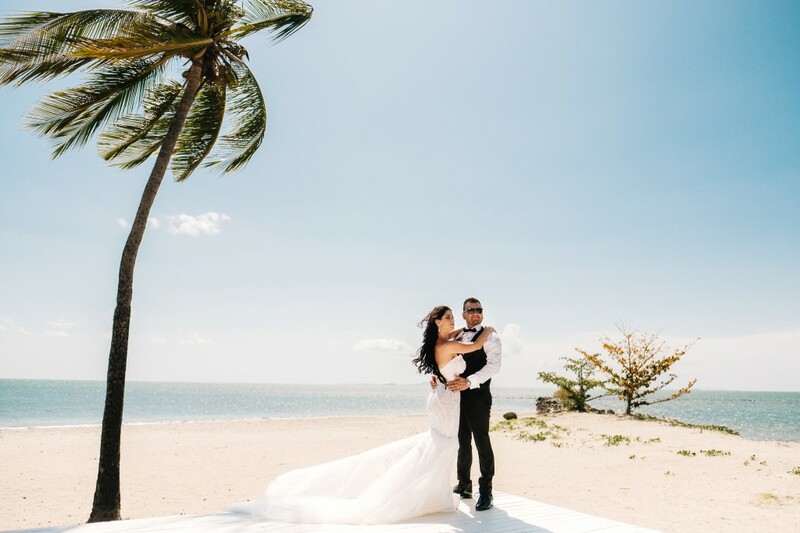 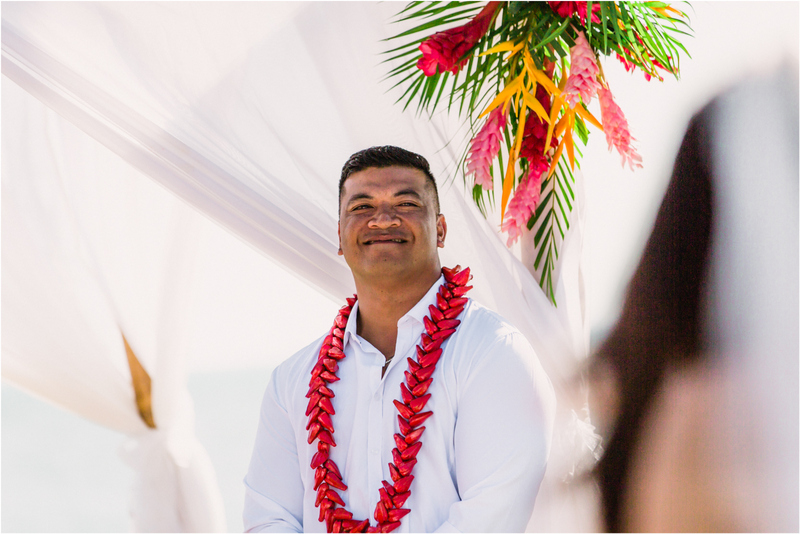 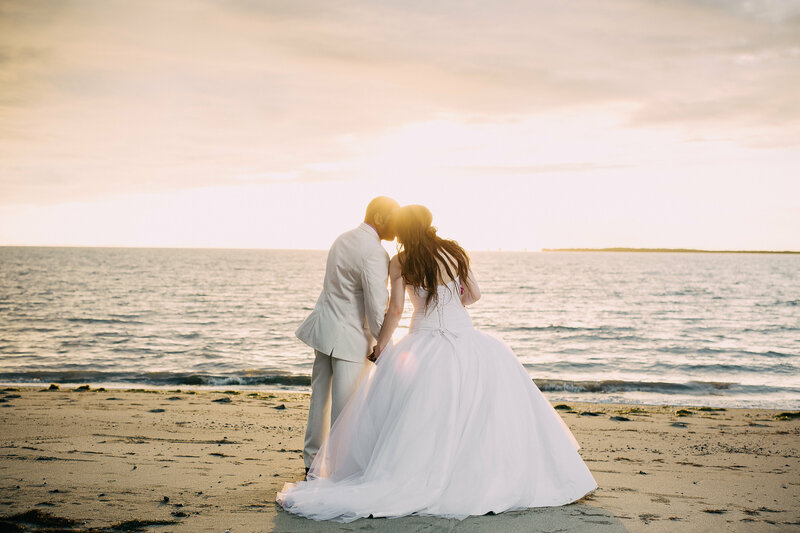 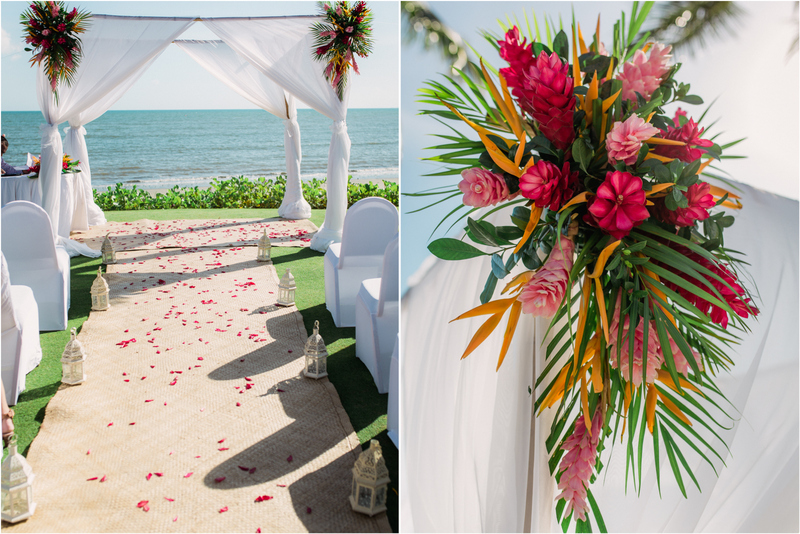 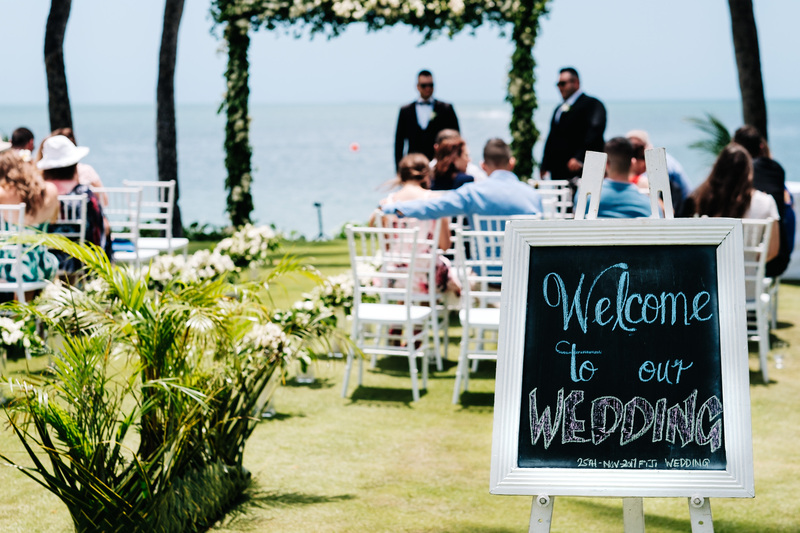 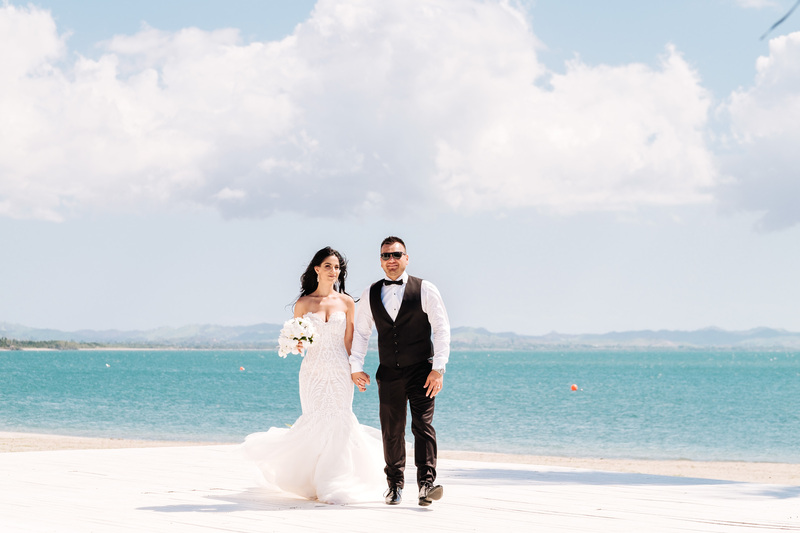 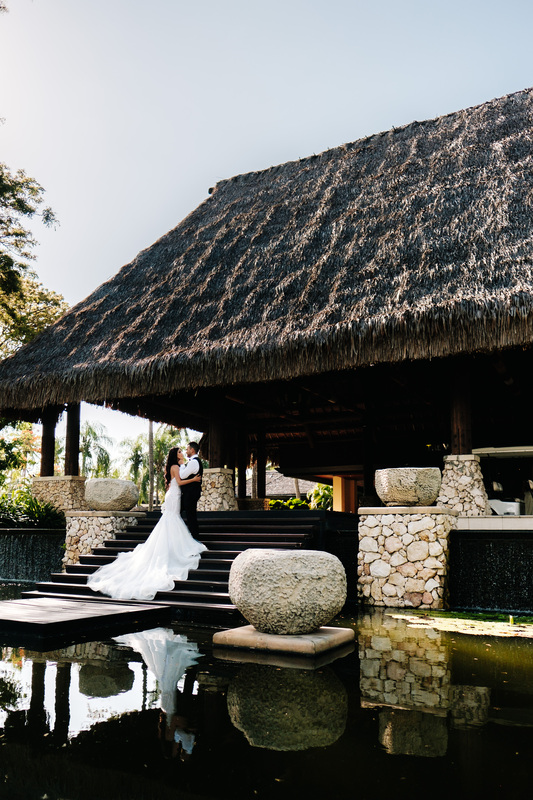 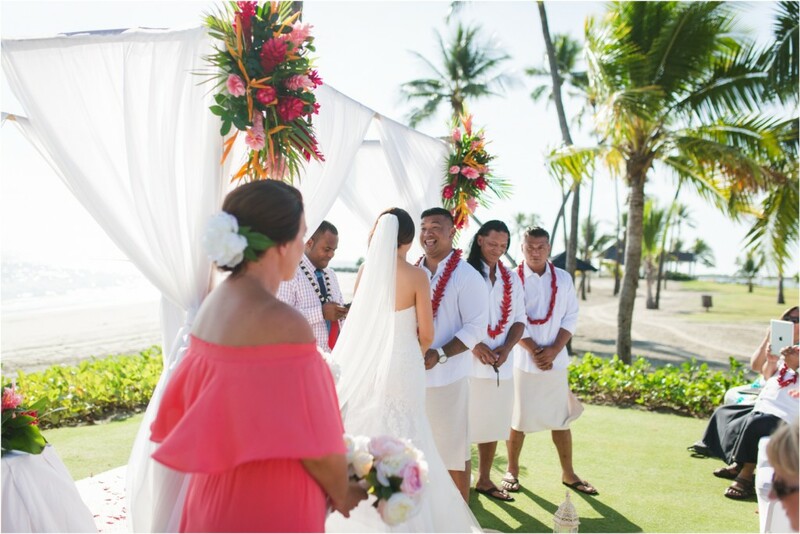 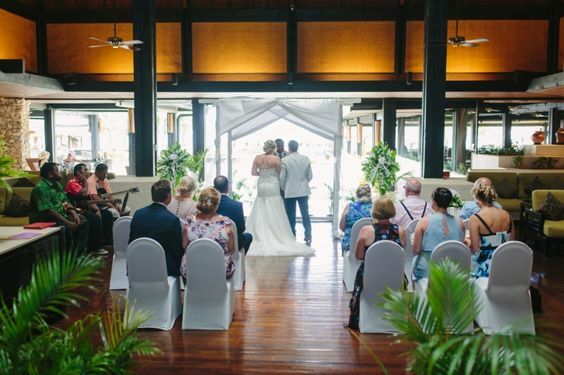 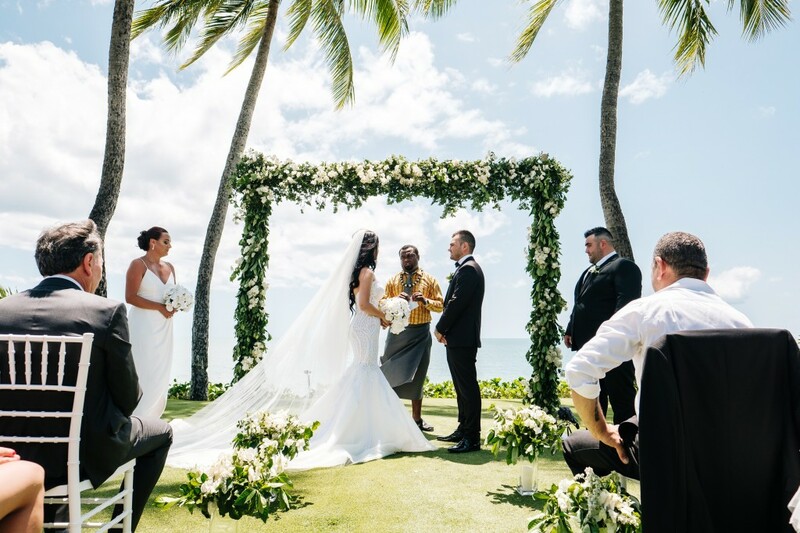 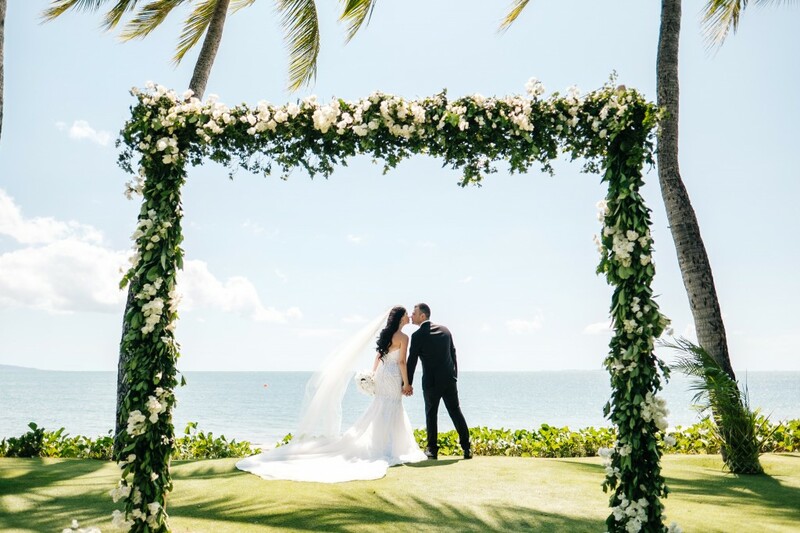 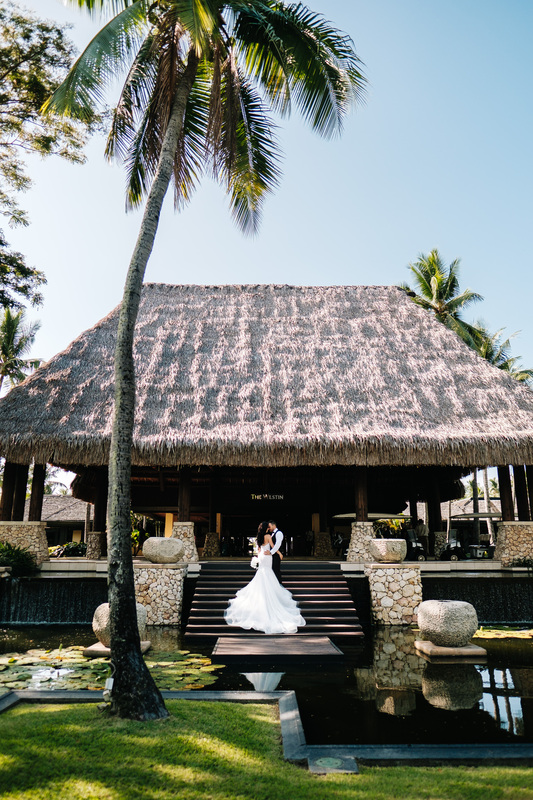 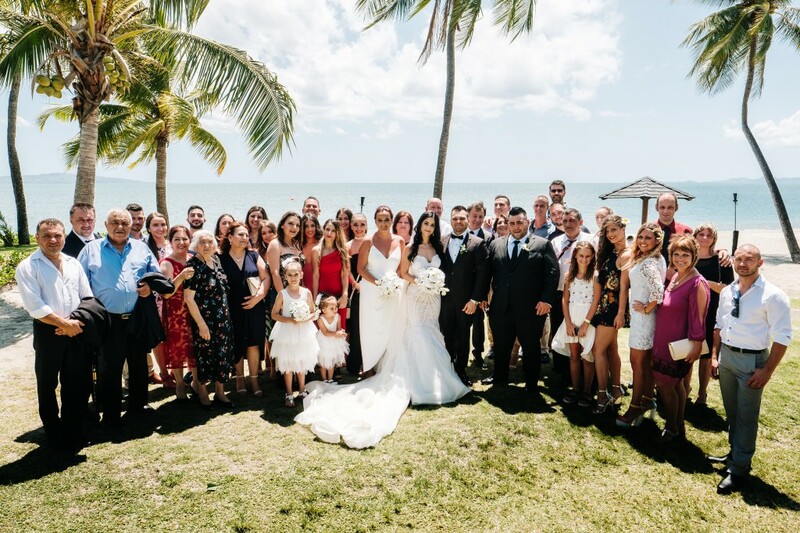 Jenna & Caleb had their wedding ceremony in the beautiful Paradise Chapel on the Sheraton Fiji Beachfront followed by their reaction at Coco Palms at the Westin Denarau. 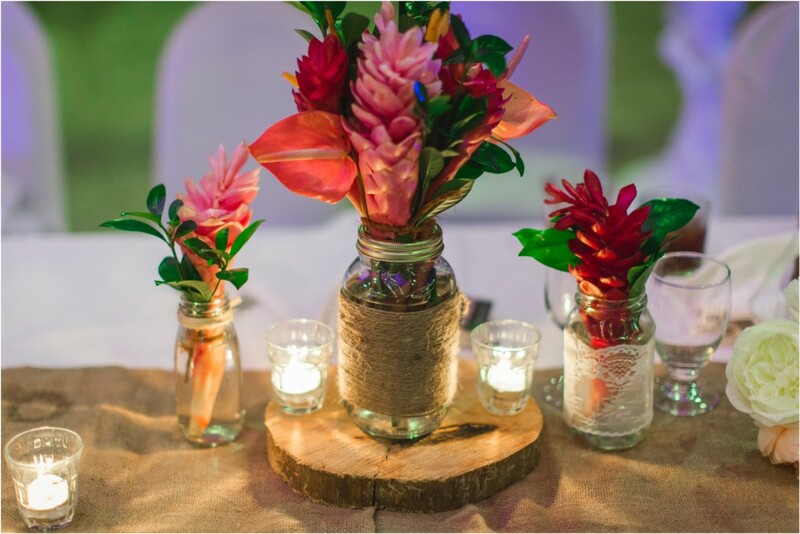 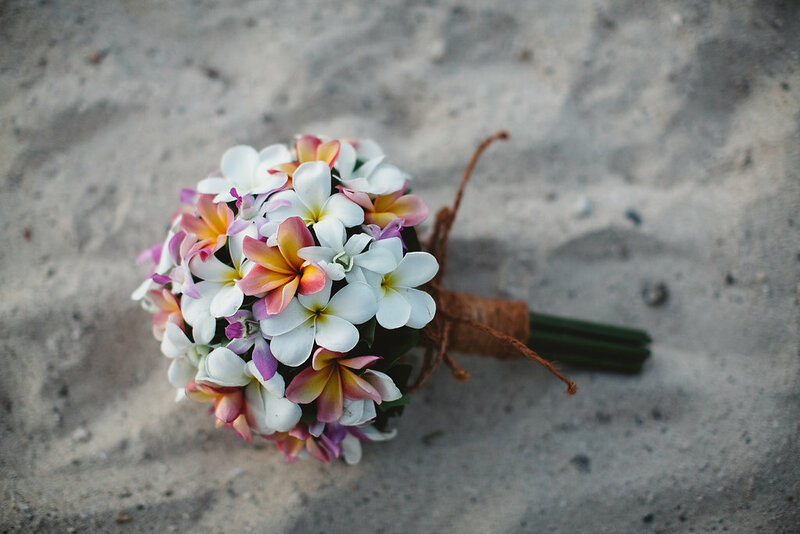 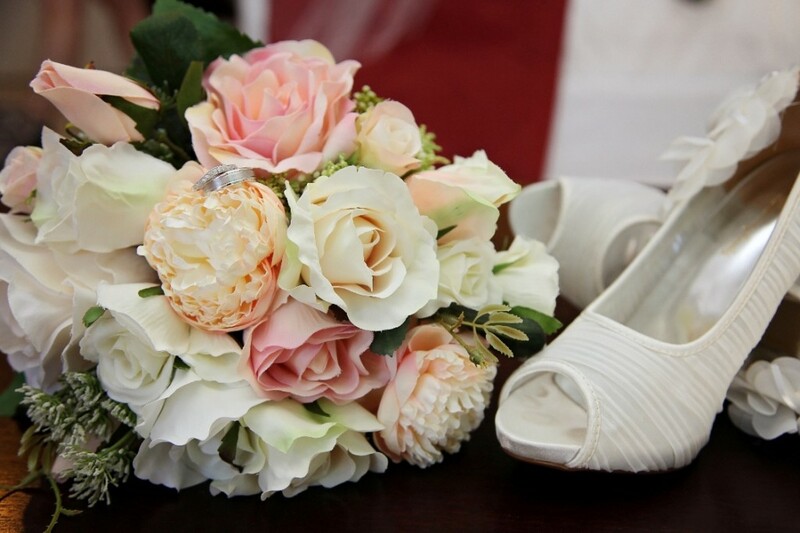 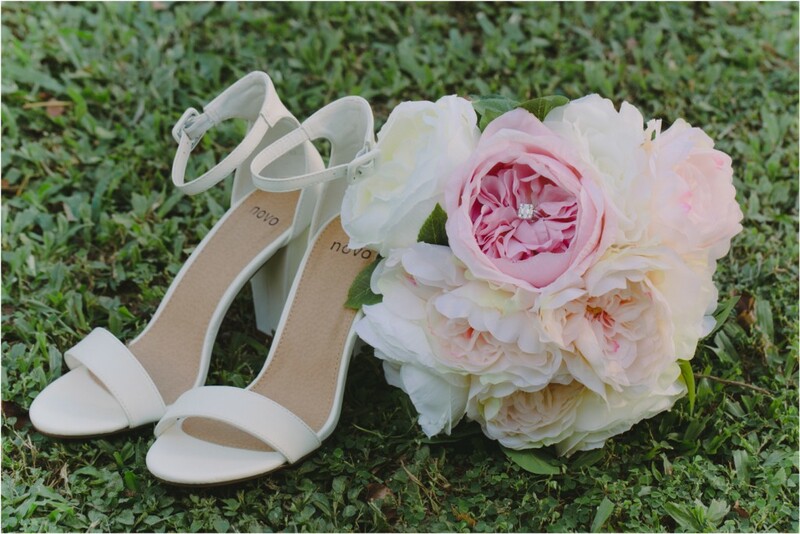 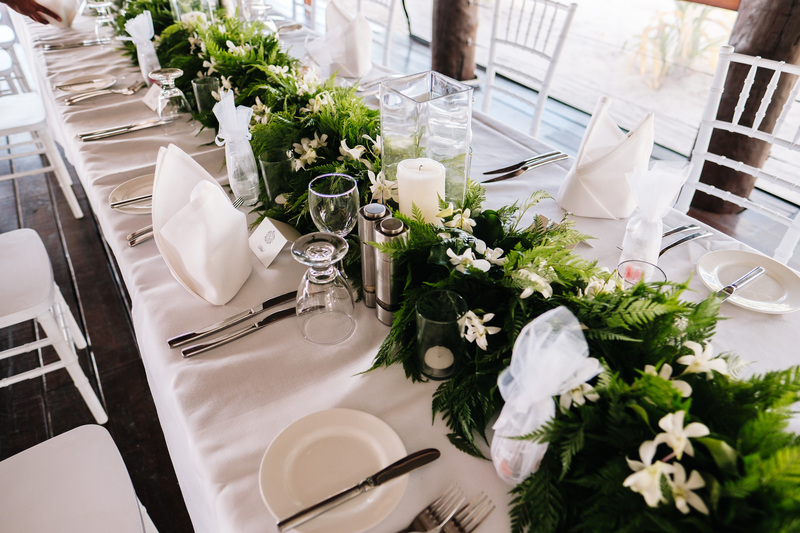 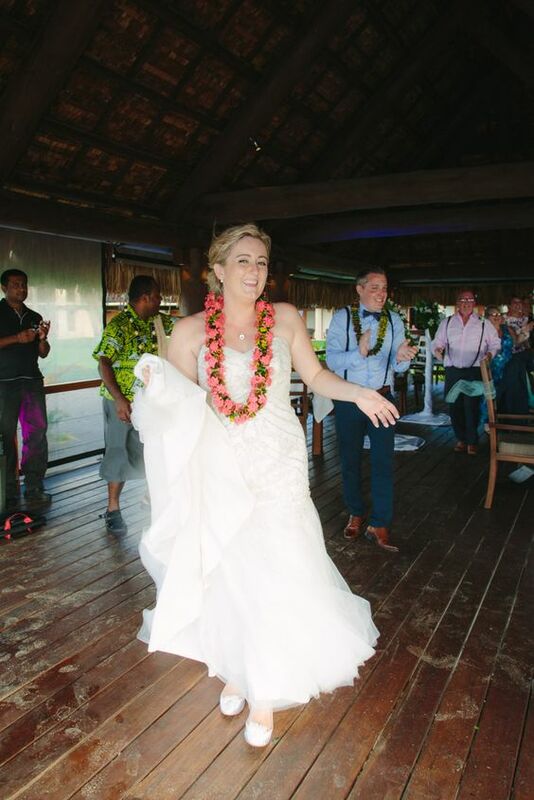 Don’t get excited brides, Jenna brought her own artificial flowers over to Fiji for herself and bridesmaids as roses & Peonies are not available in Fiji. 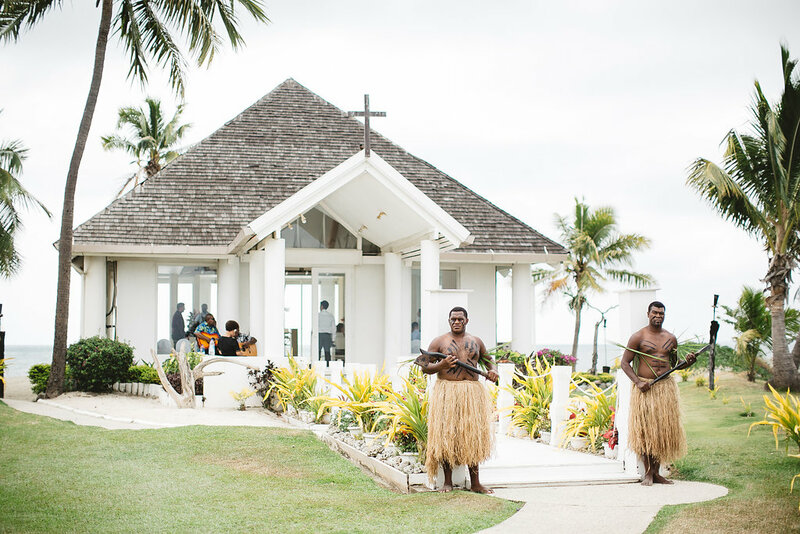 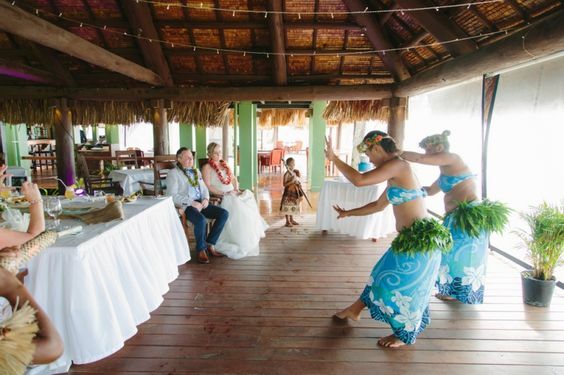 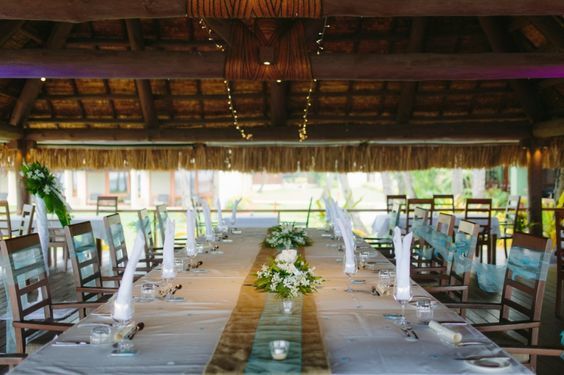 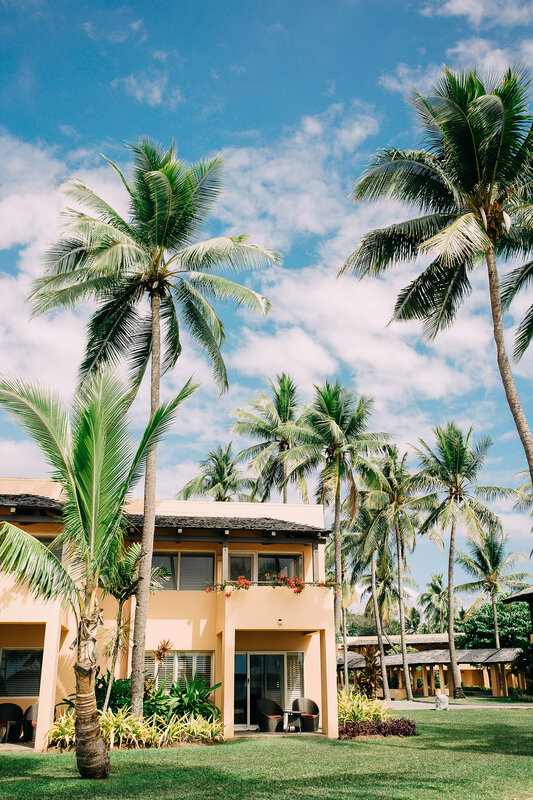 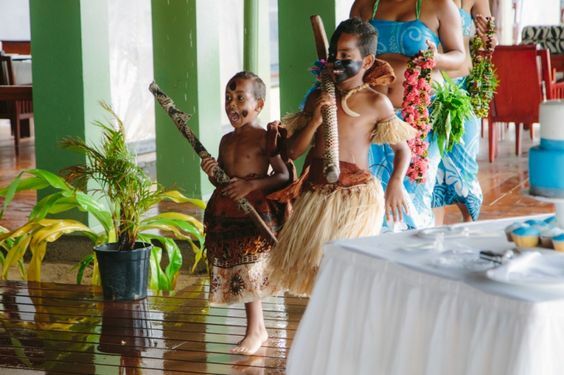 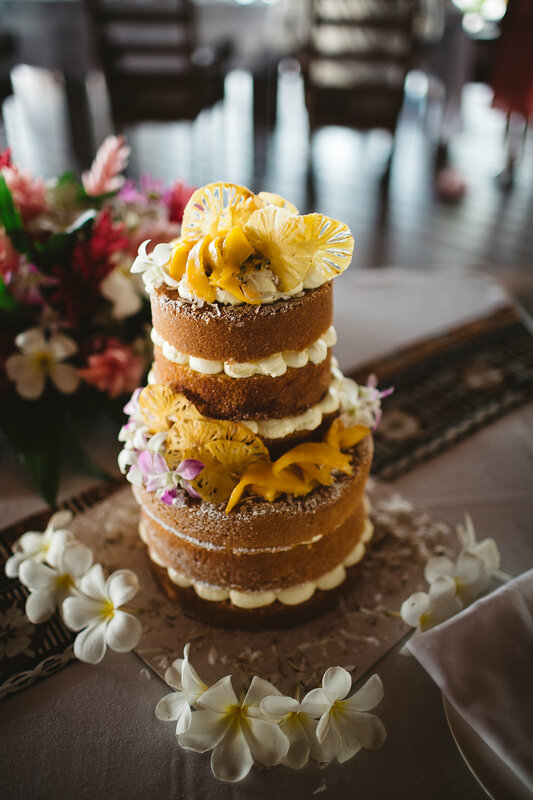 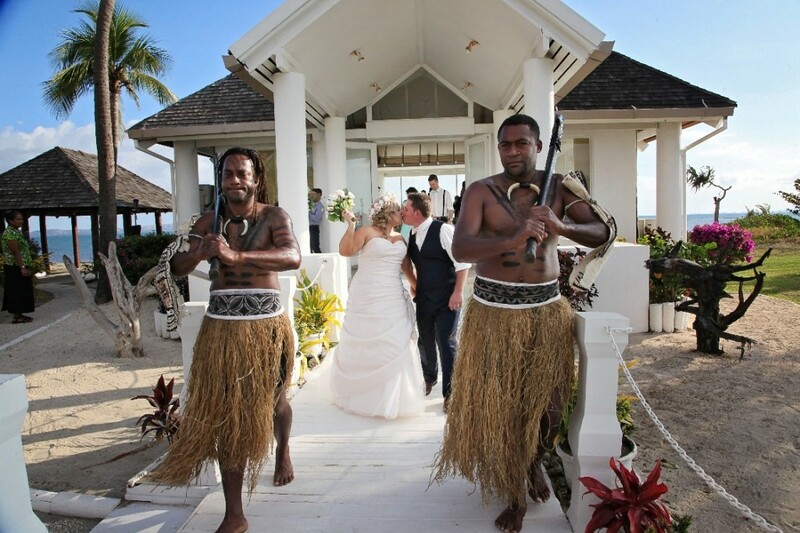 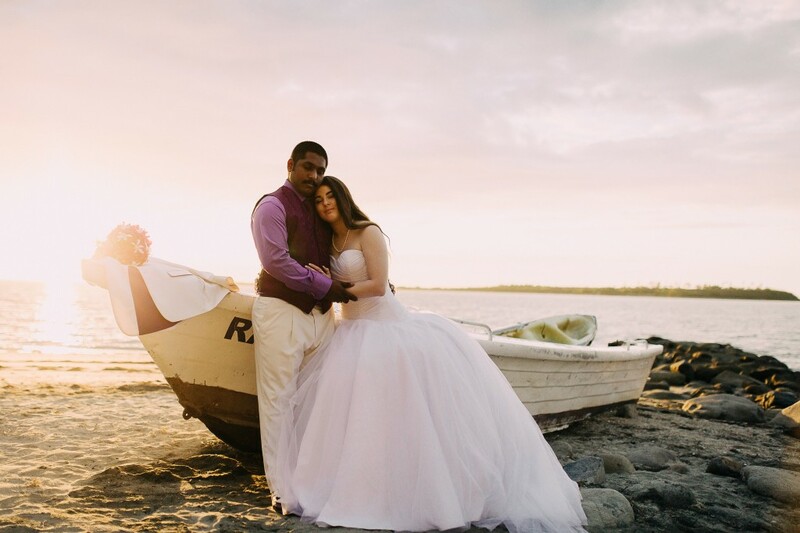 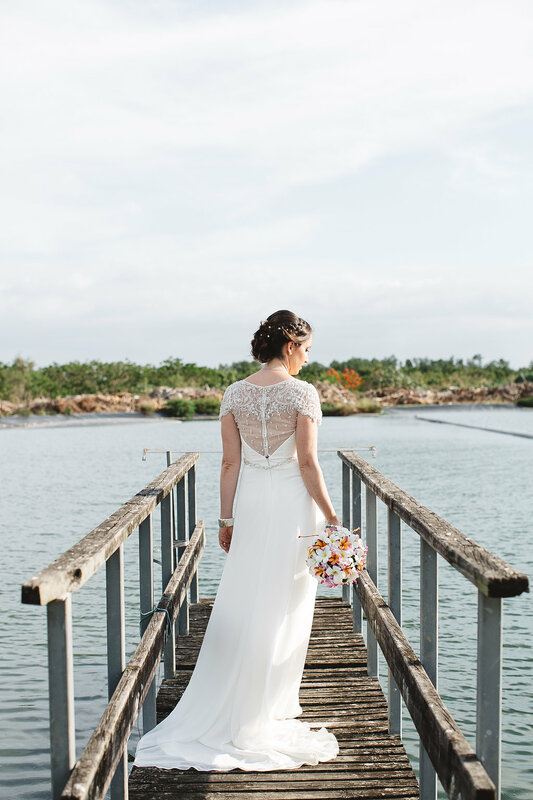 “After looking locally and not like anything available, I realised that my dream of a destination wedding was going to come true when I found the Paradise Wedding chapel at the Sheraton in Fiji! 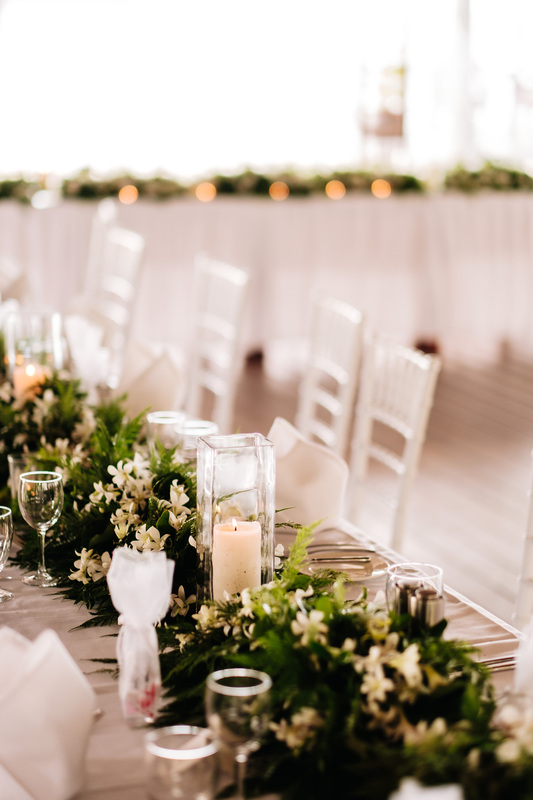 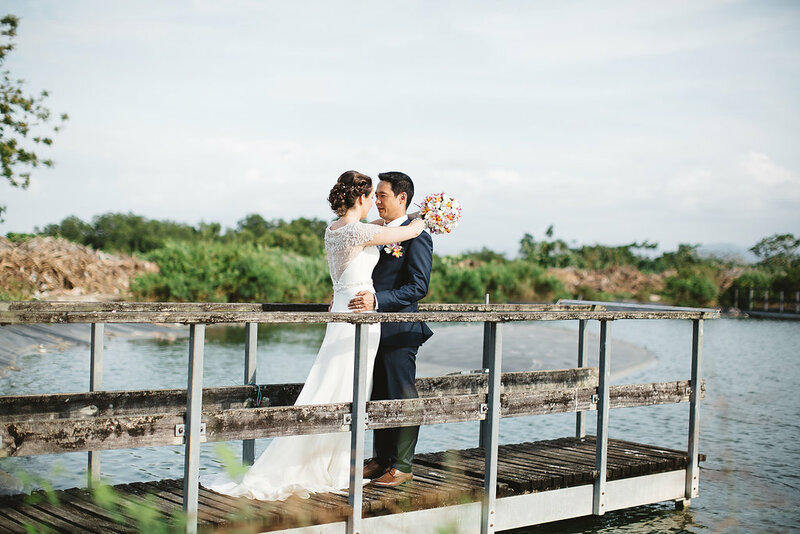 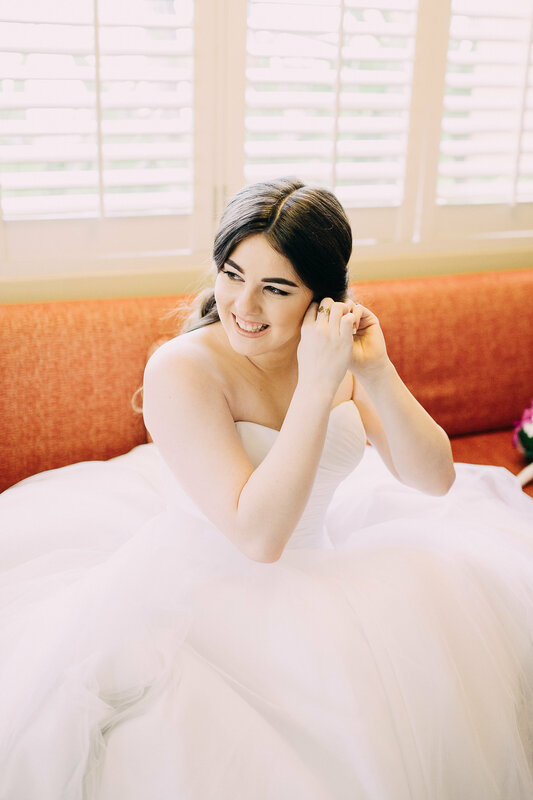 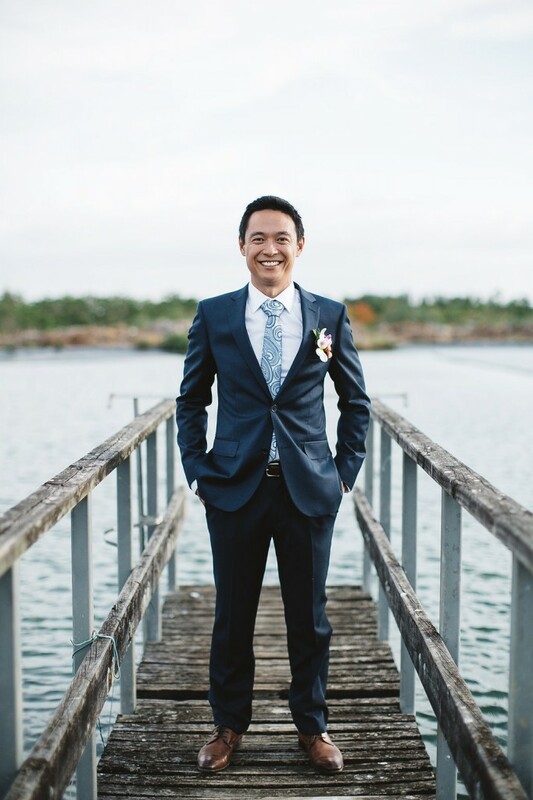 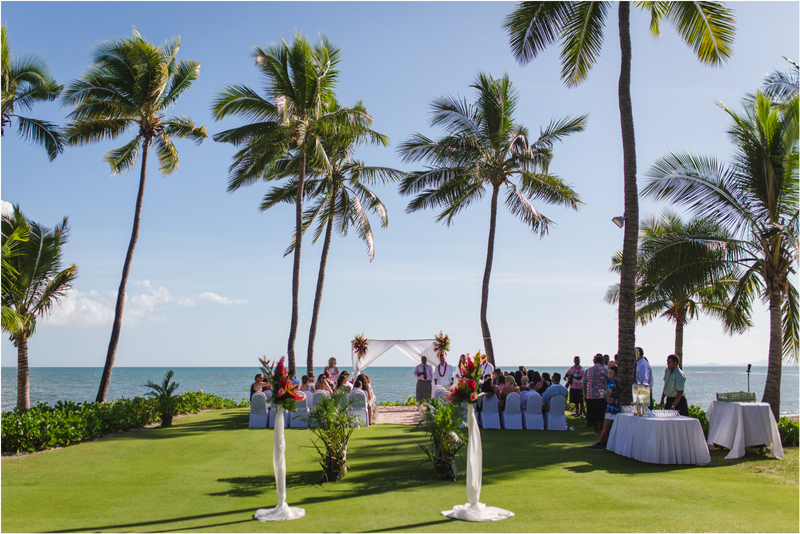 Having found the perfect location, I had no idea where to start to plan my wedding. 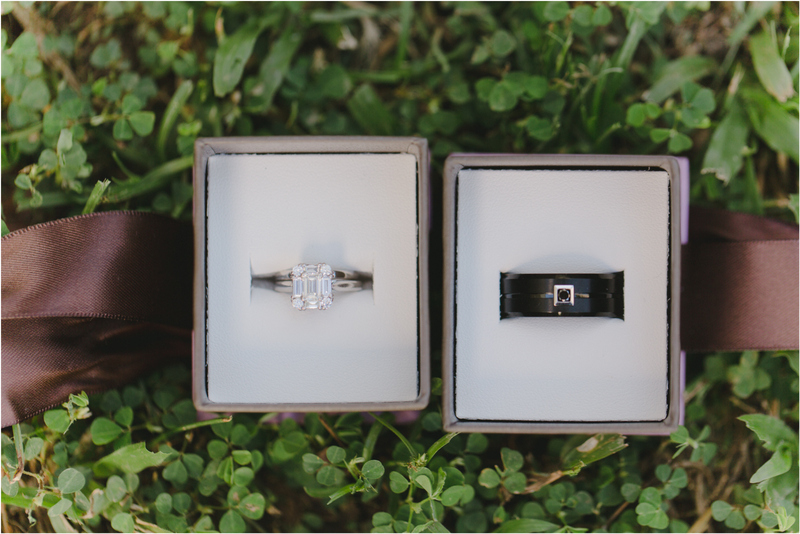 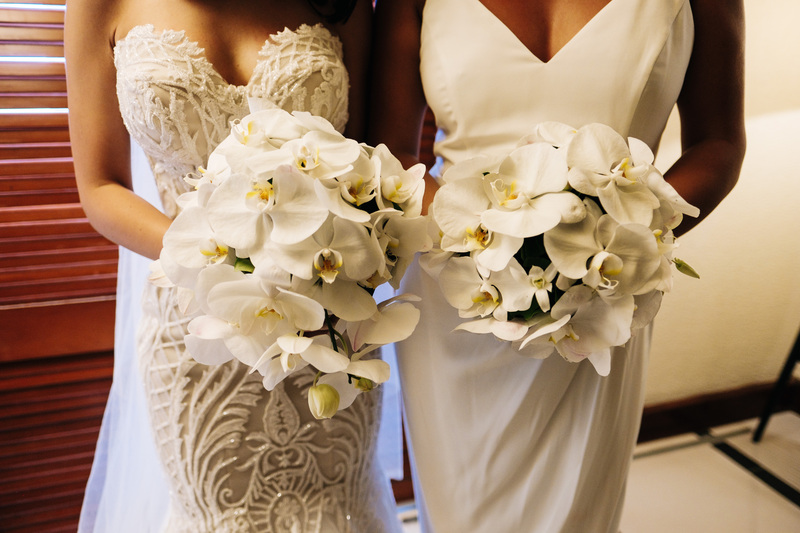 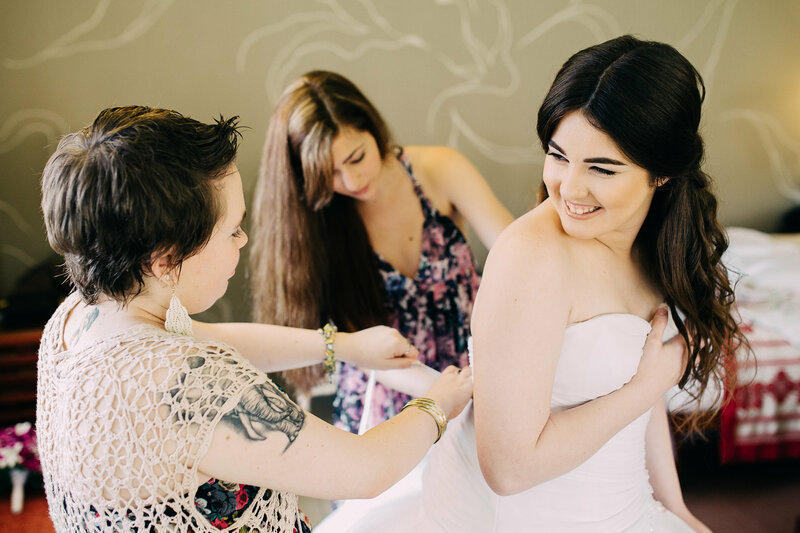 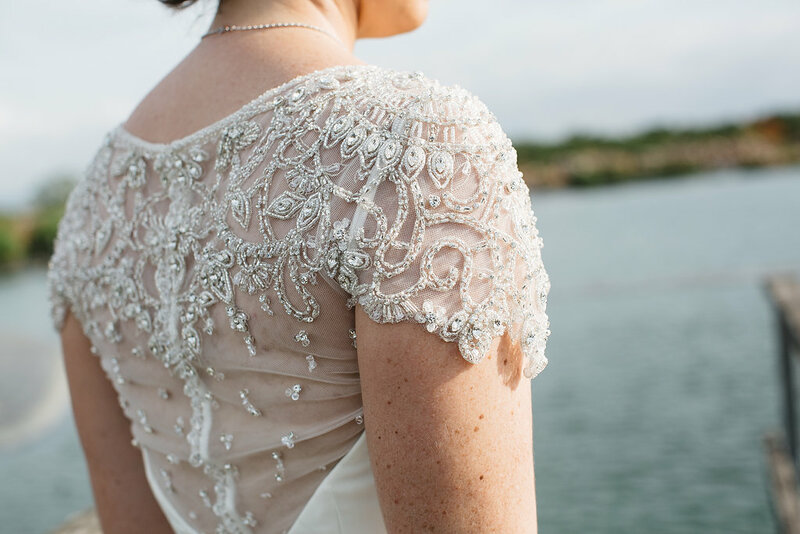 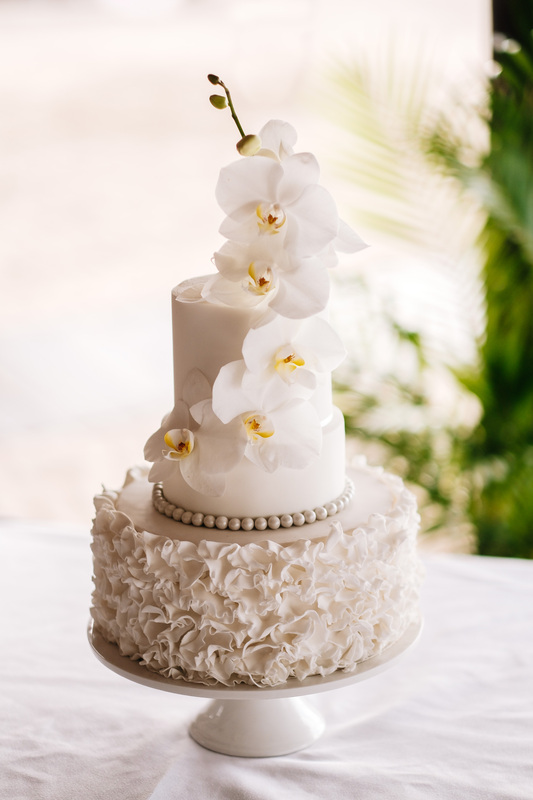 After reading rave reviews of Chelsea Jayne Weddings, I knew Chelsea was the planner for me. 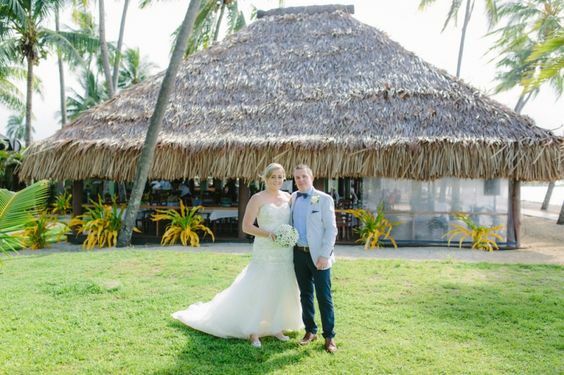 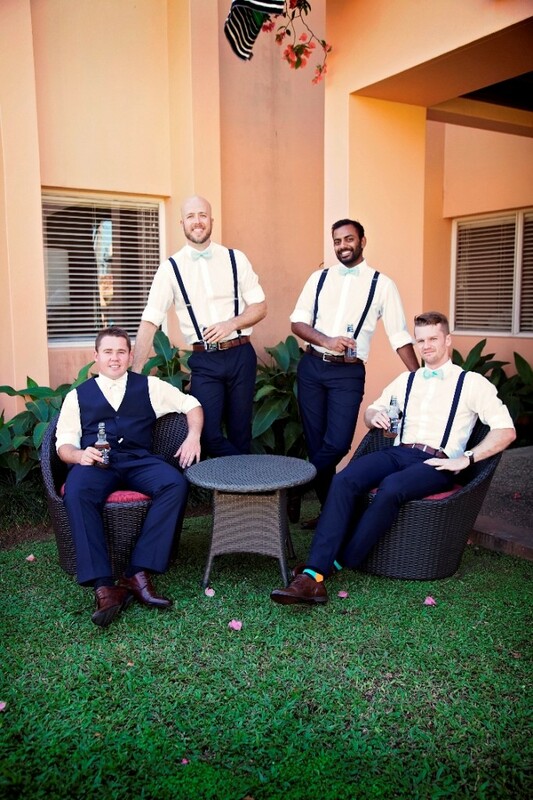 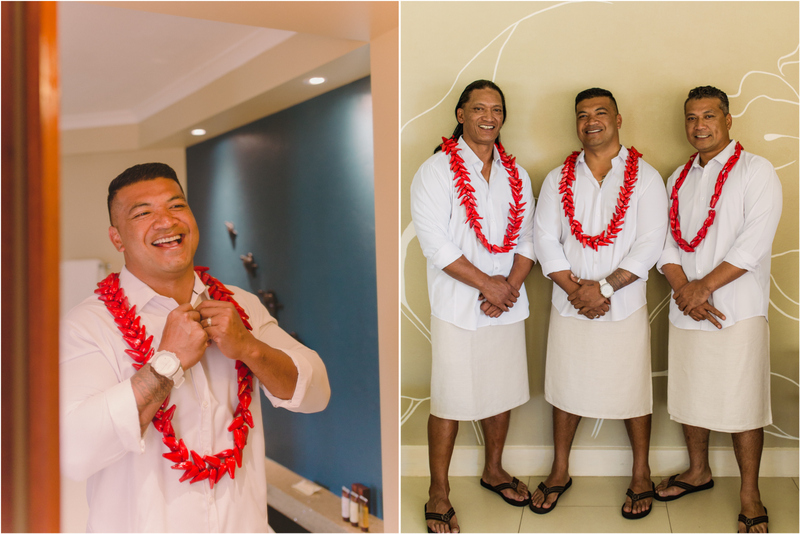 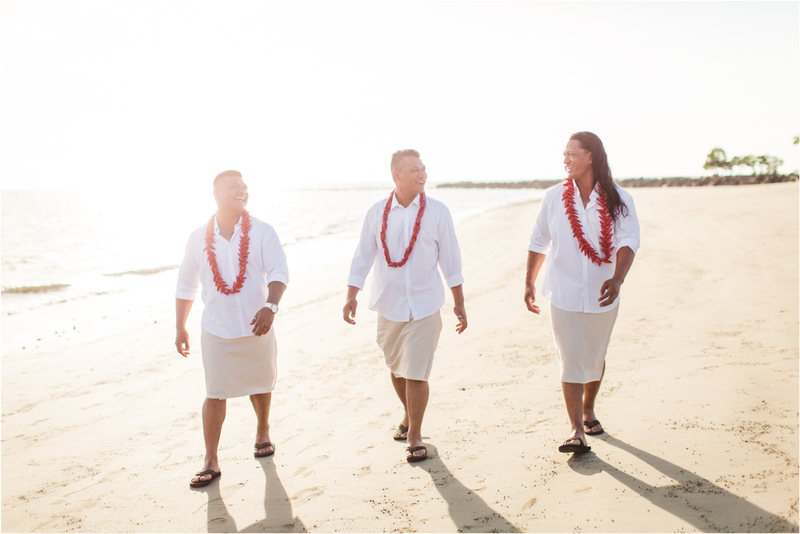 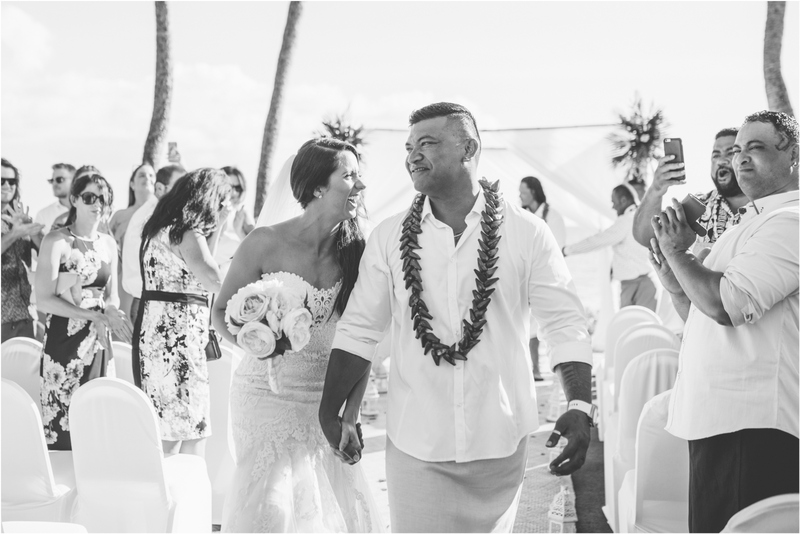 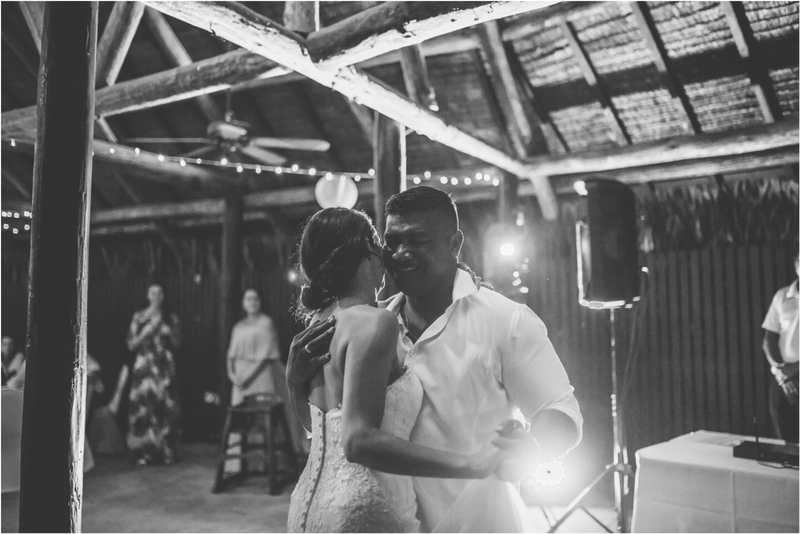 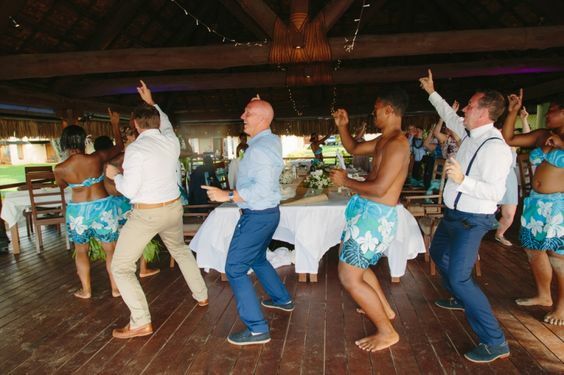 Kelly & Oliver’s wedding was at the Westin Resort Denarau, that week Tropical Cyclone Ula threatened to hit Fiji however they only experienced strong wind and rain and as a result had to move their ceremony inside the Westin lobby. 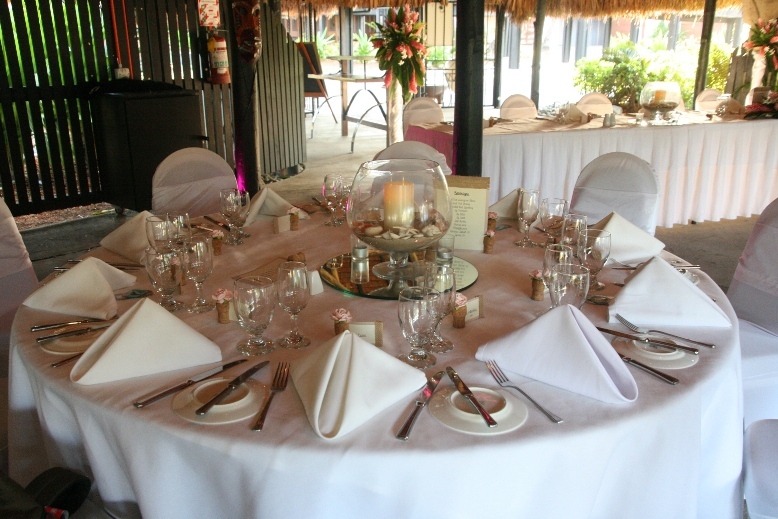 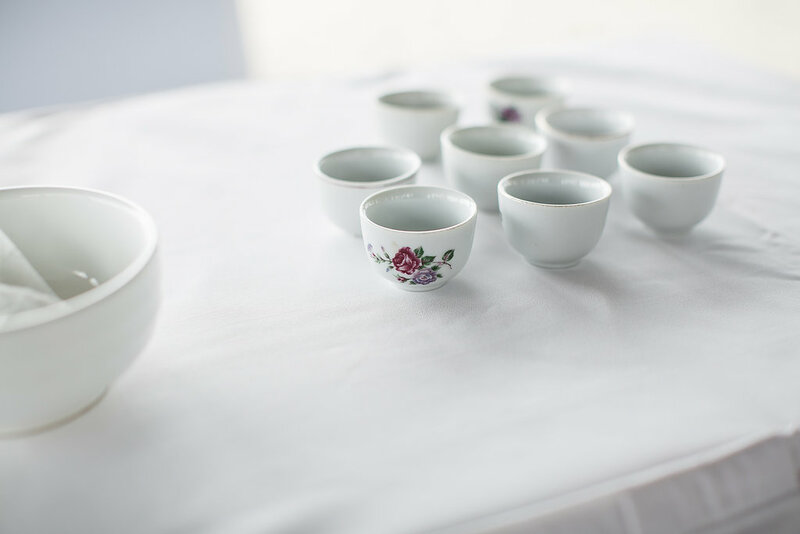 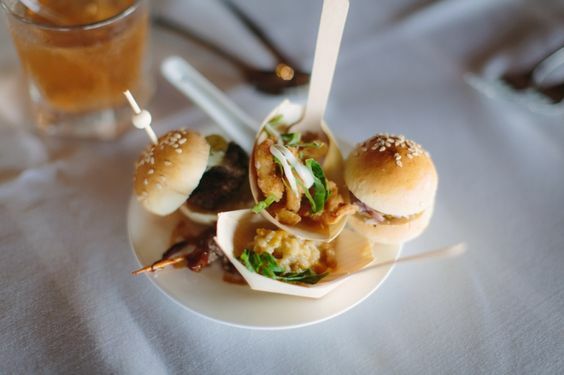 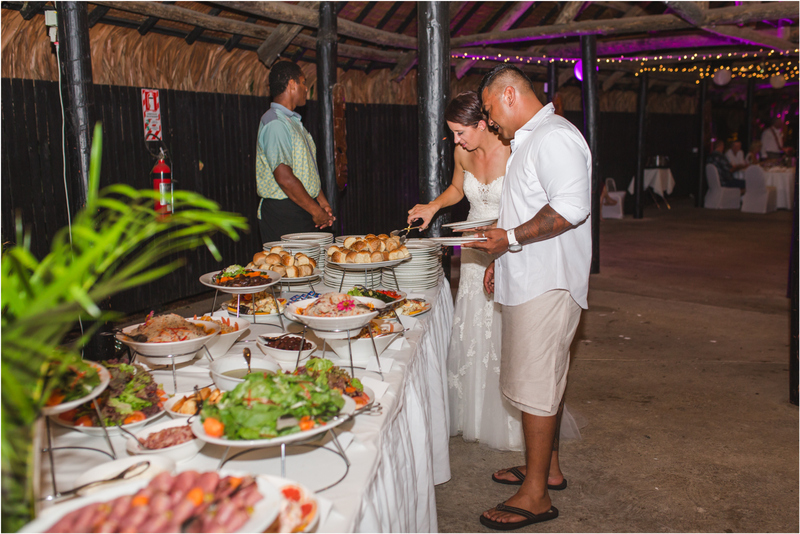 The reception was held at the Westin’s large bure by The Kitchen restaurant. 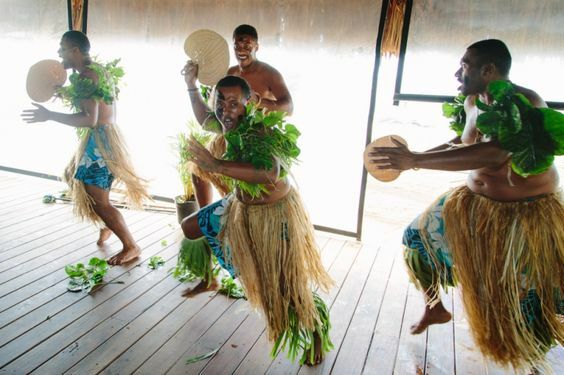 The highlight of the evening was Fijian dance group that got everyone up and involved. 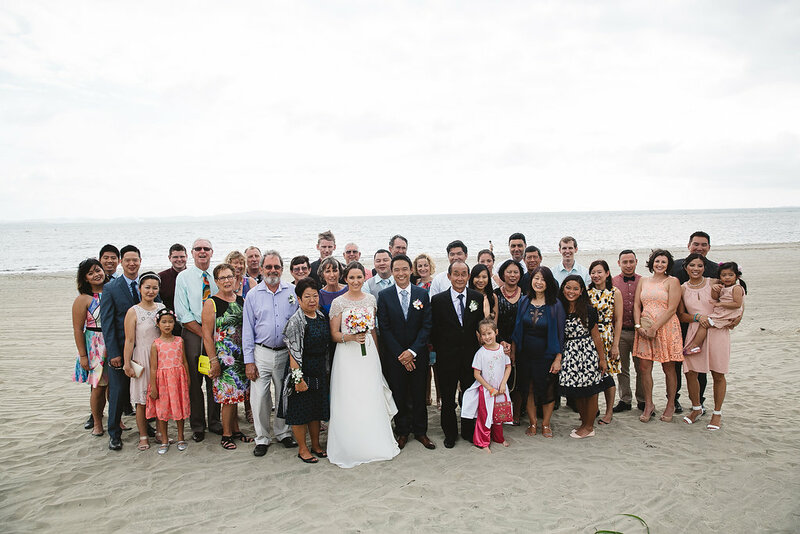 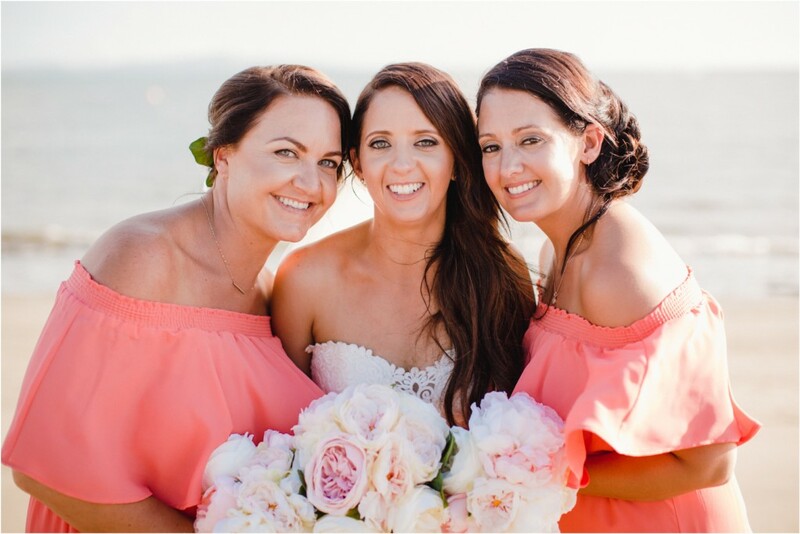 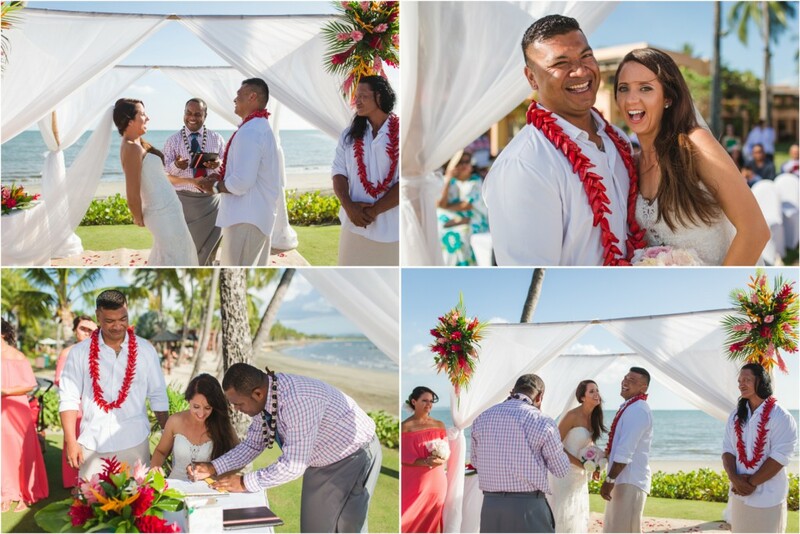 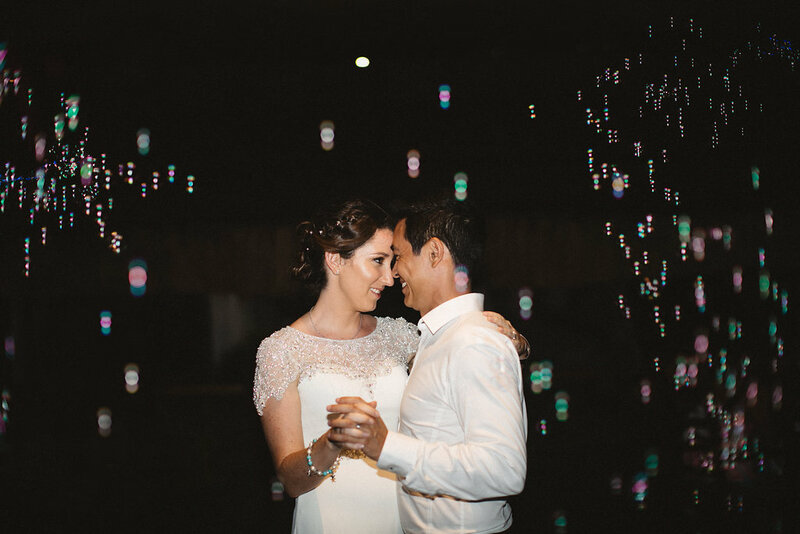 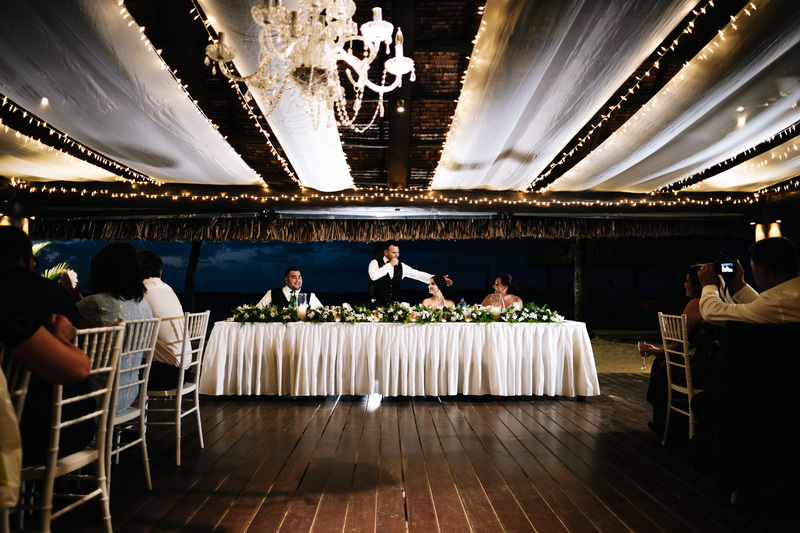 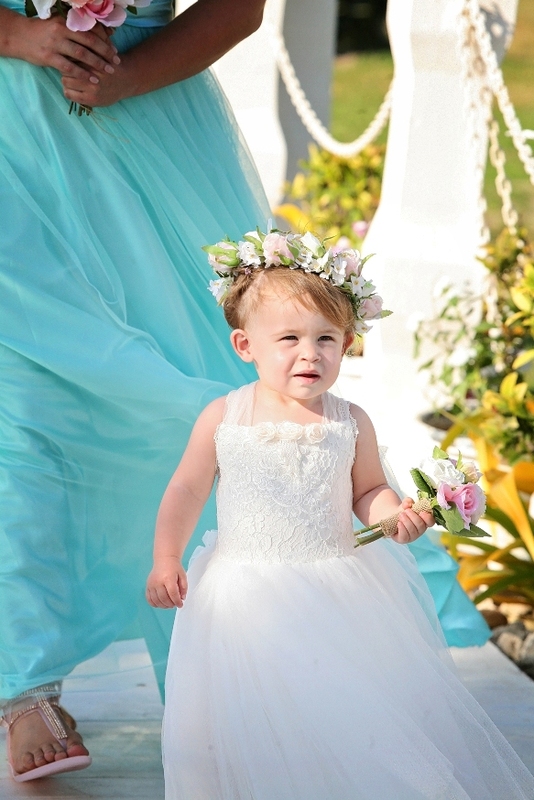 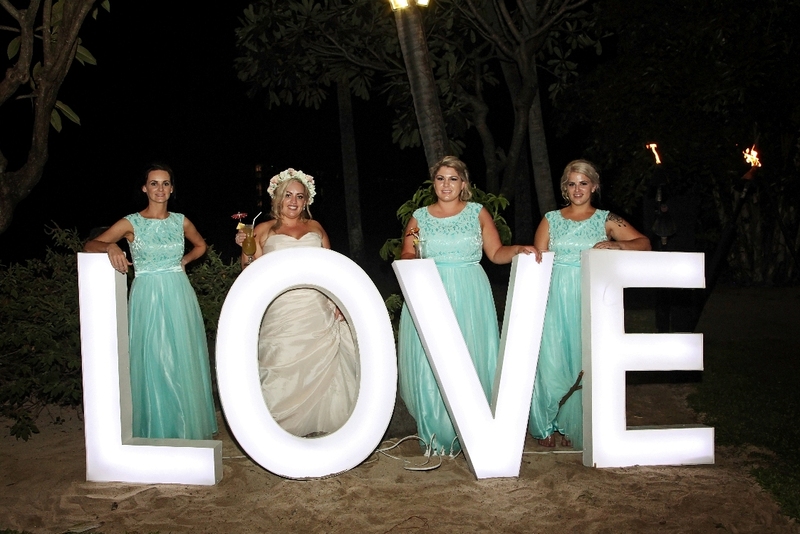 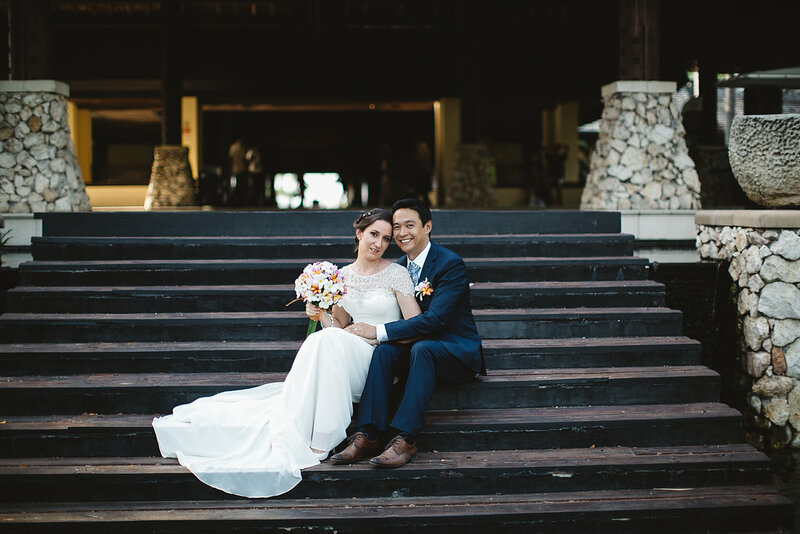 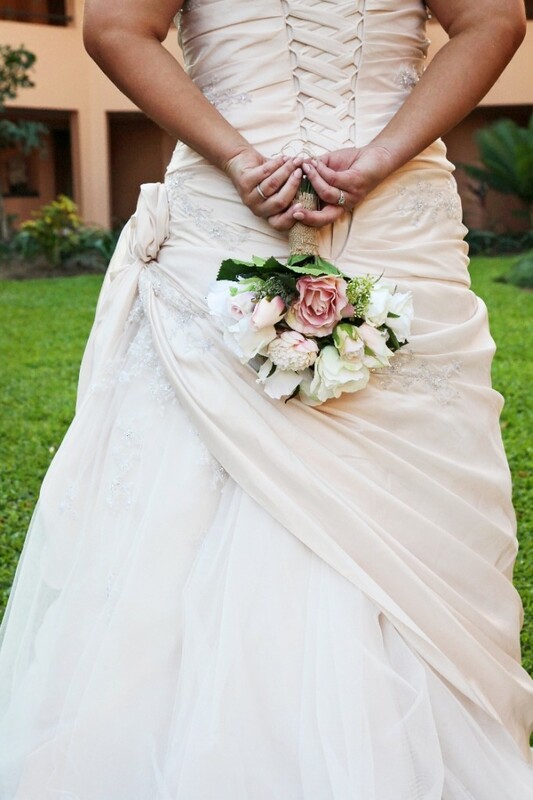 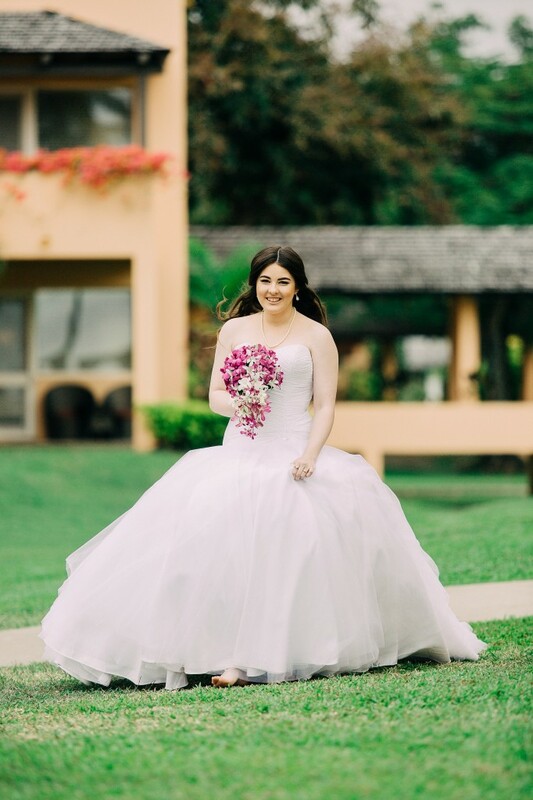 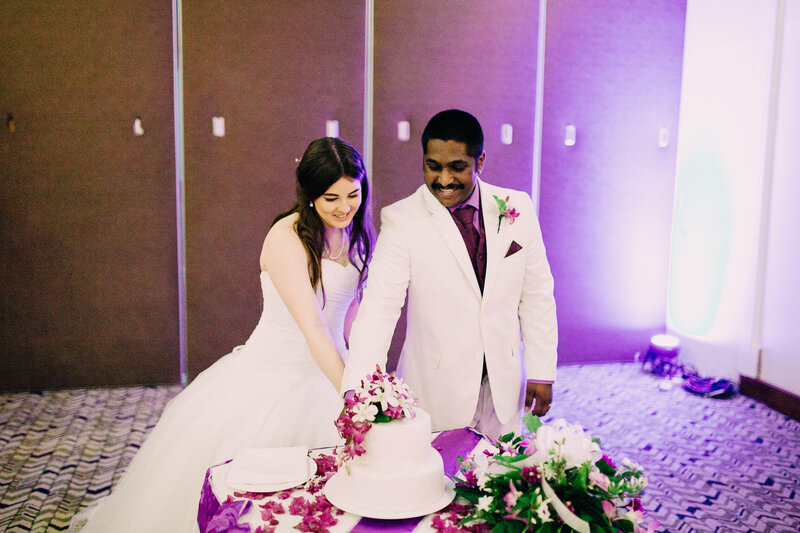 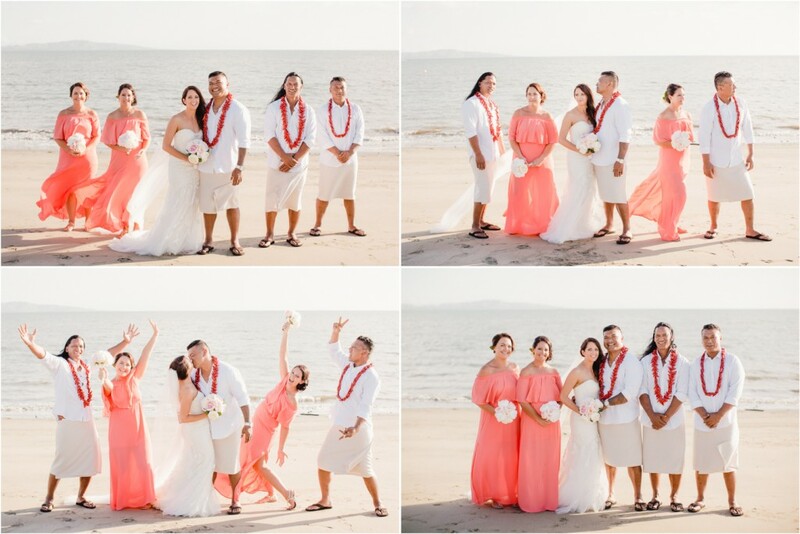 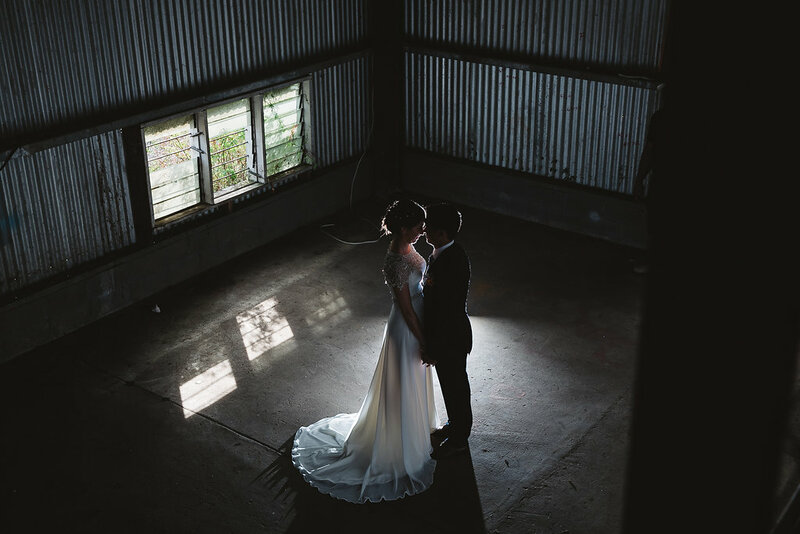 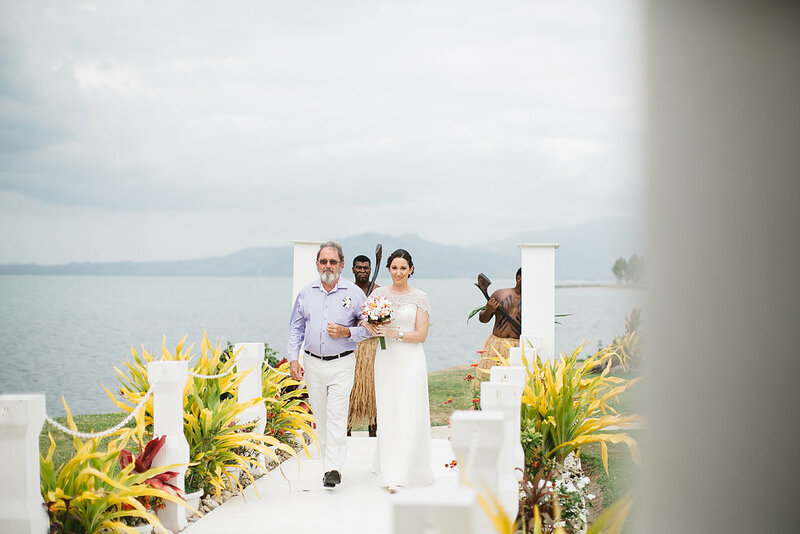 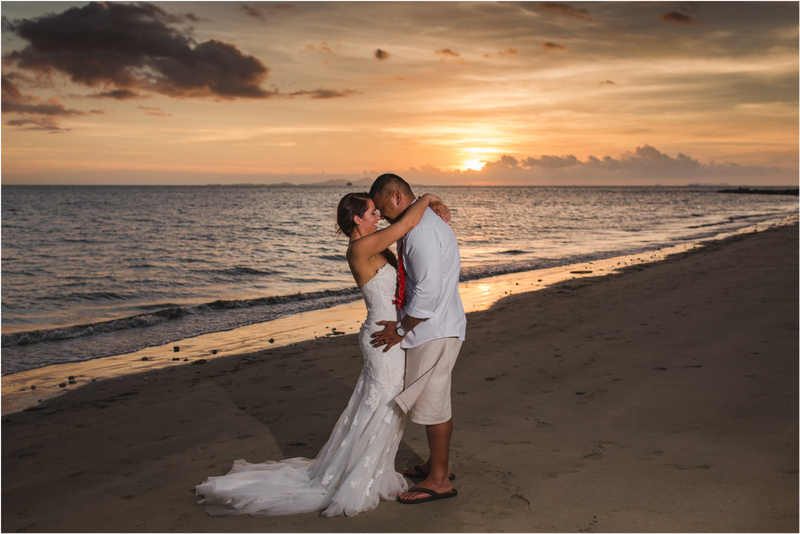 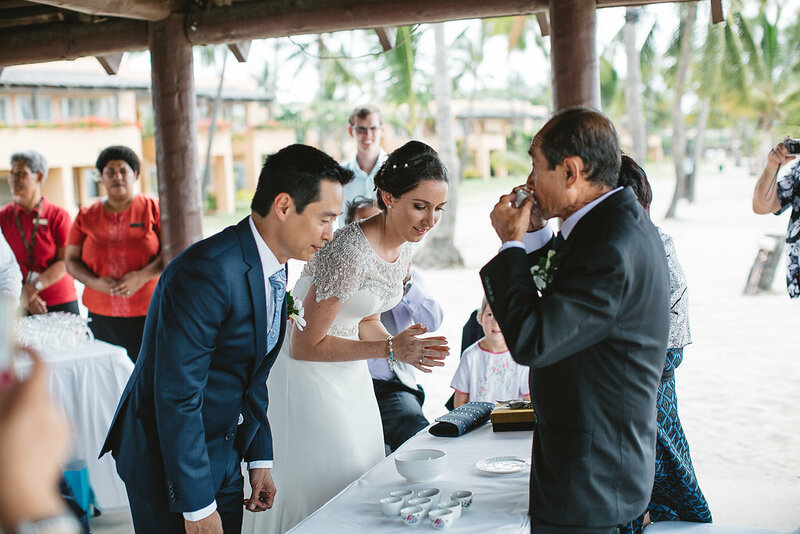 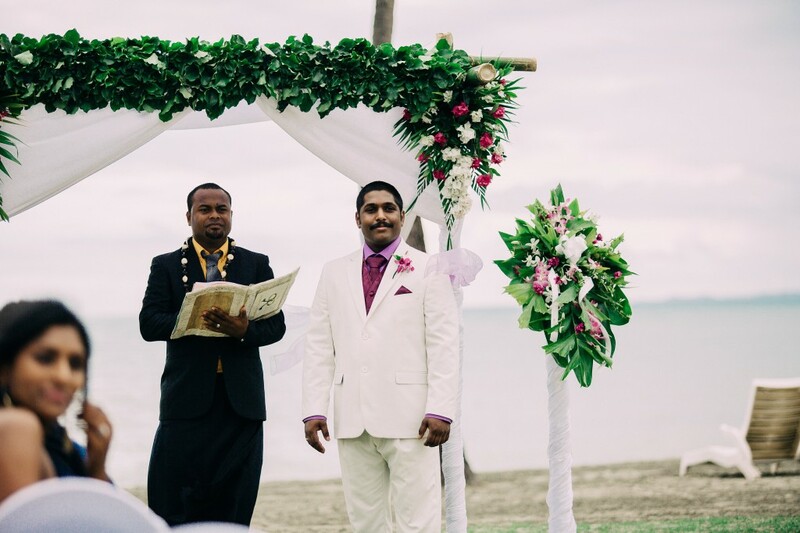 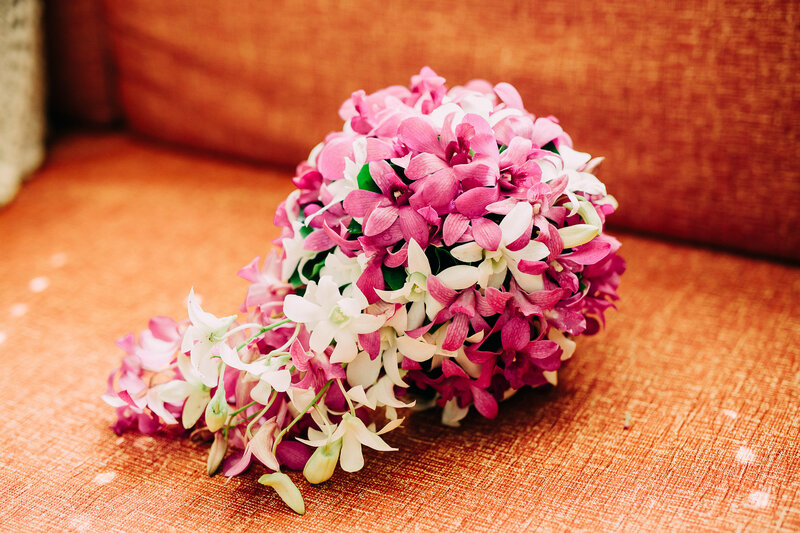 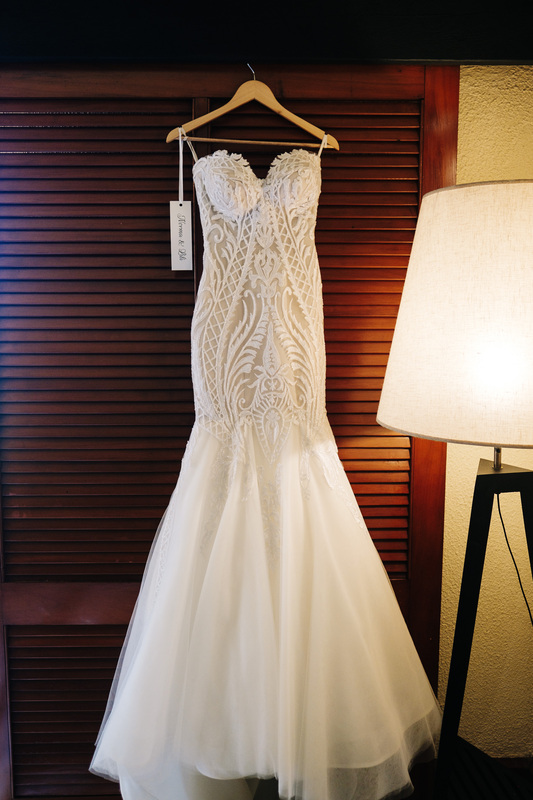 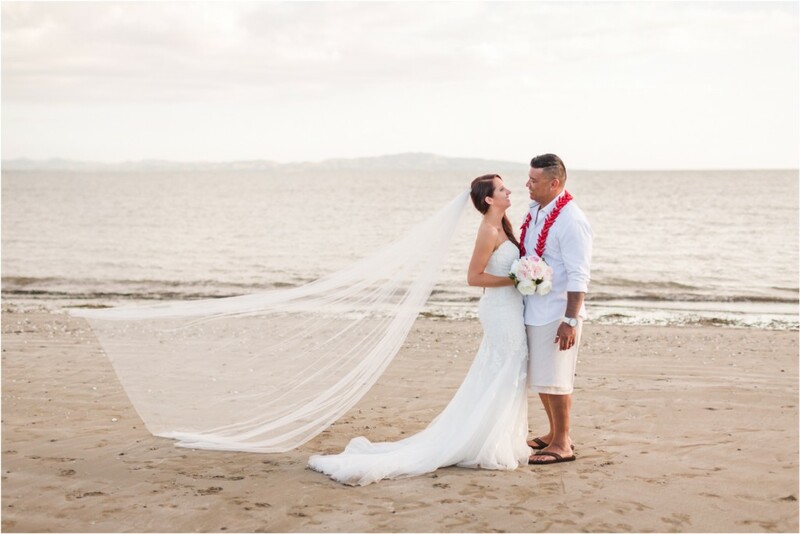 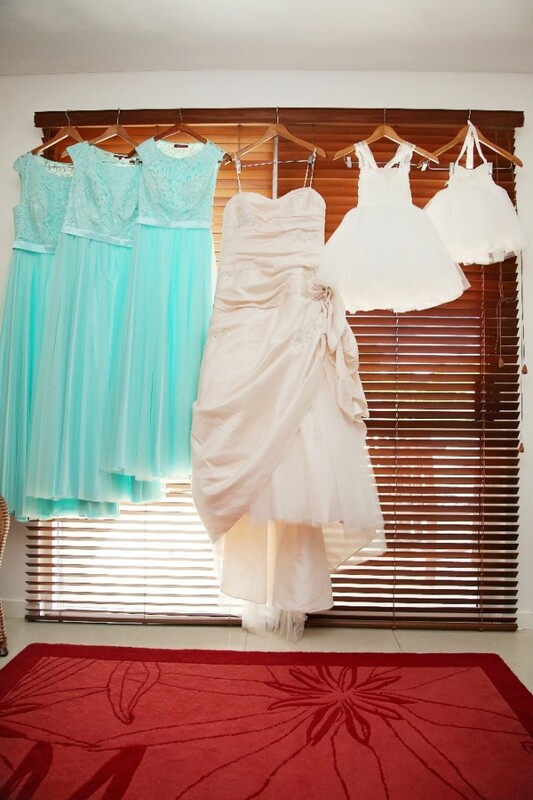 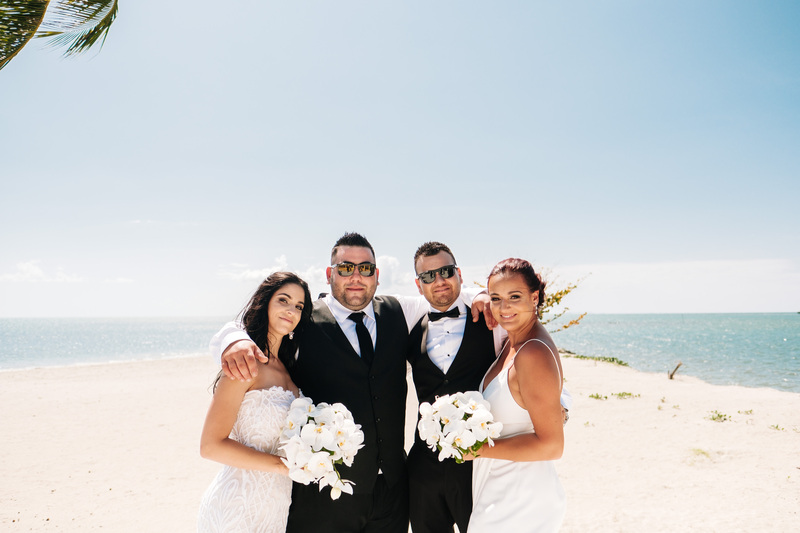 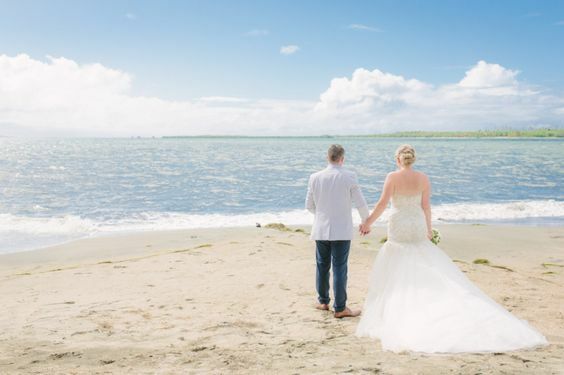 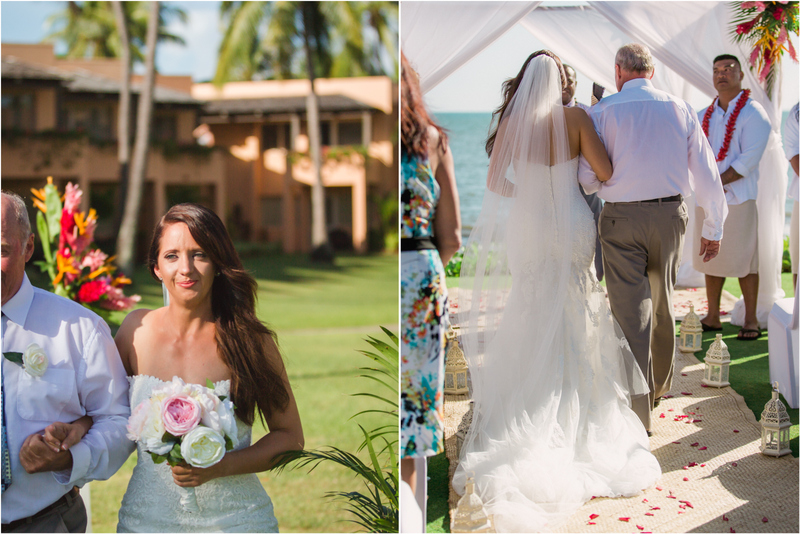 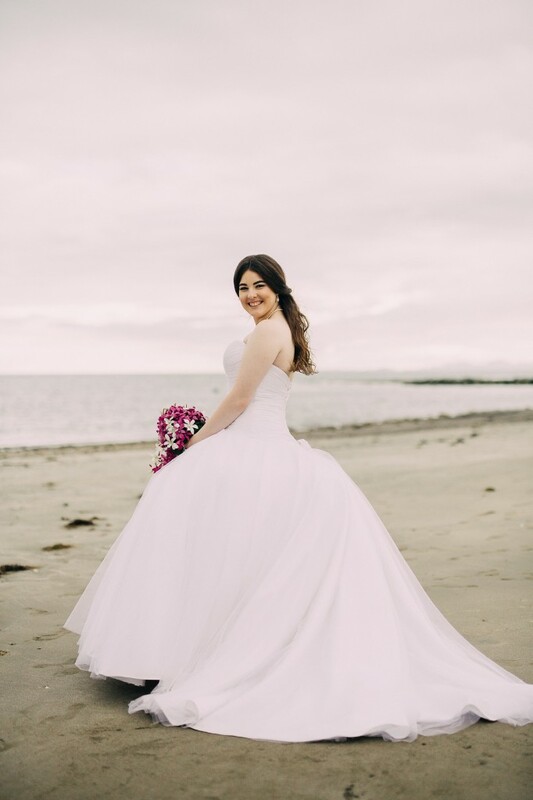 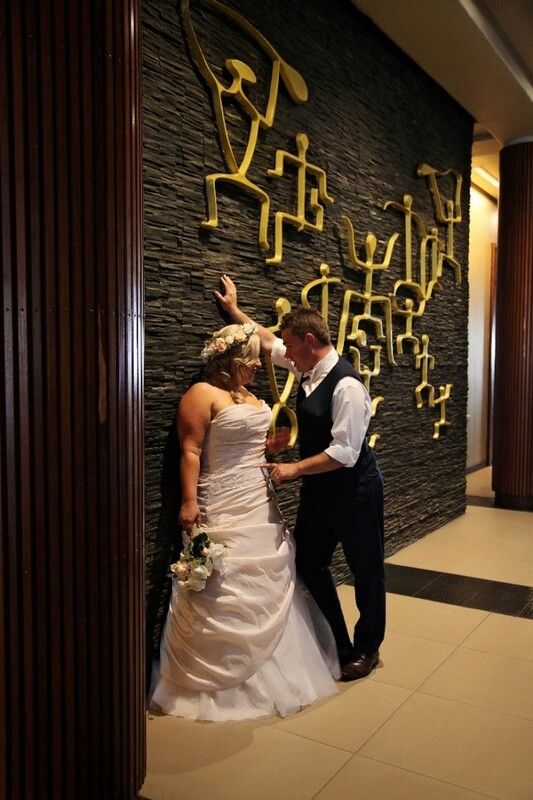 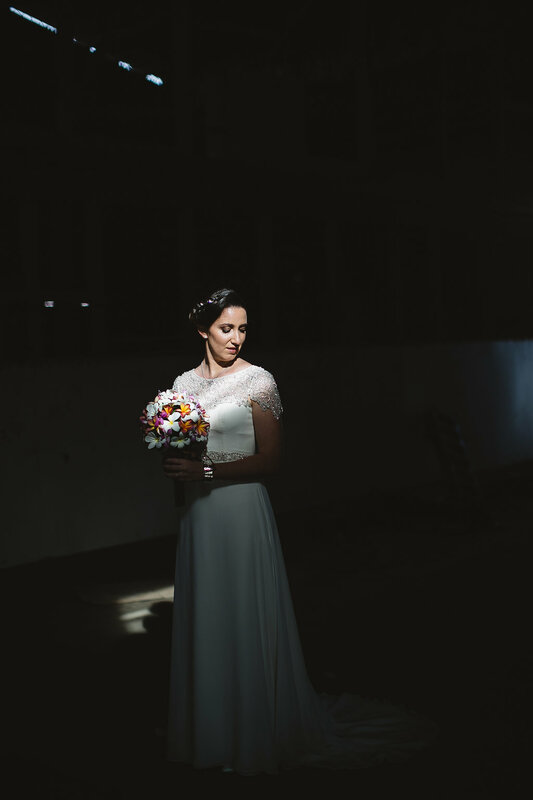 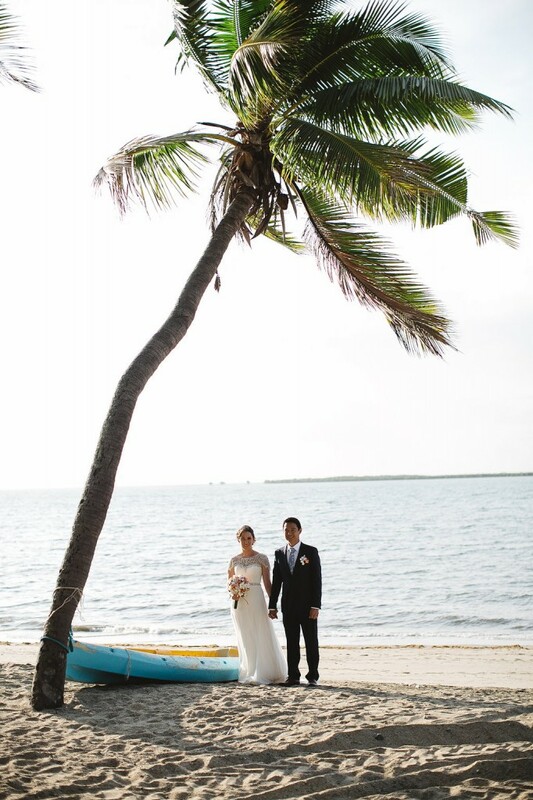 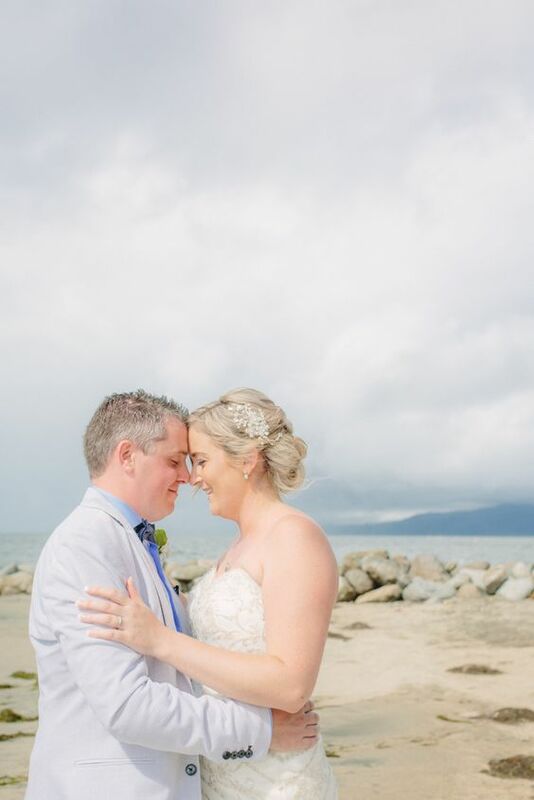 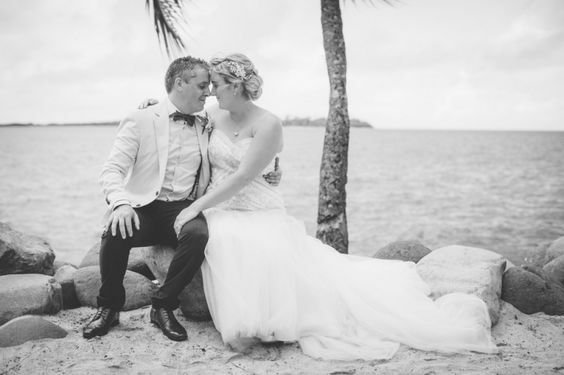 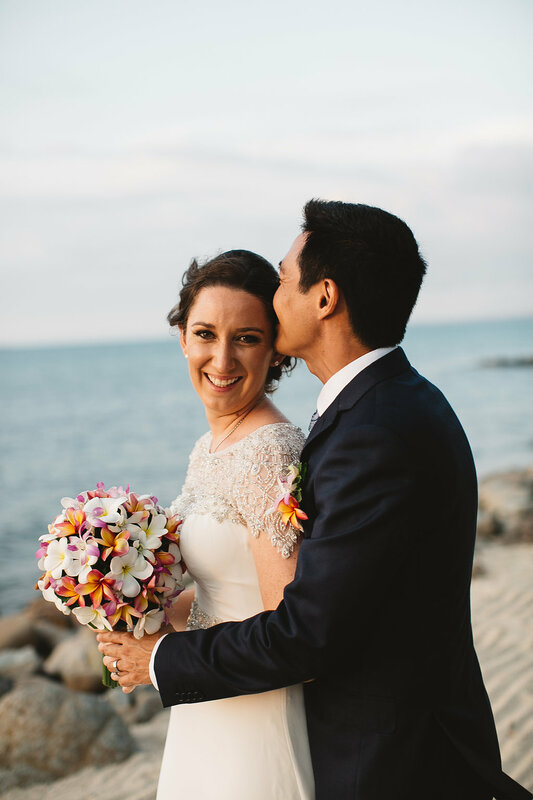 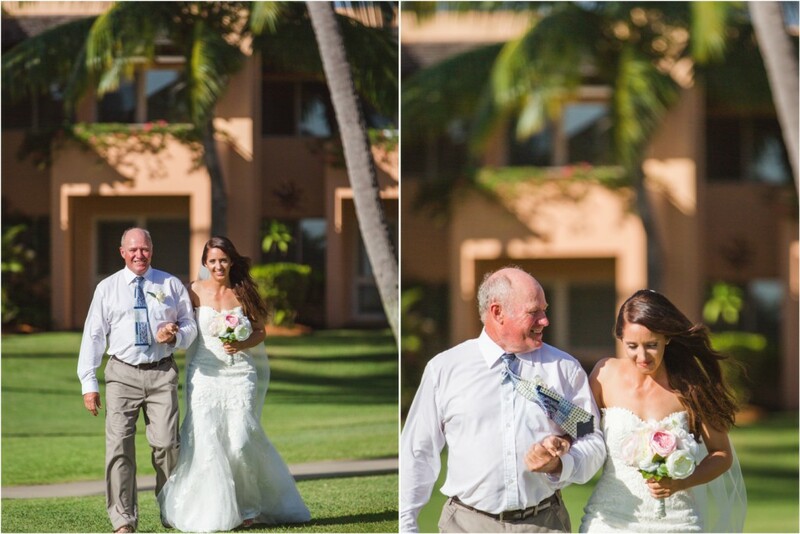 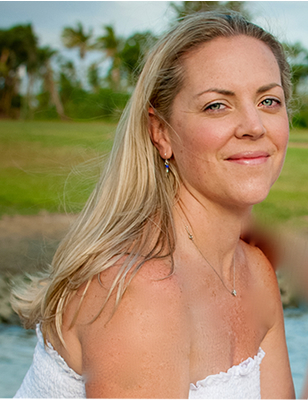 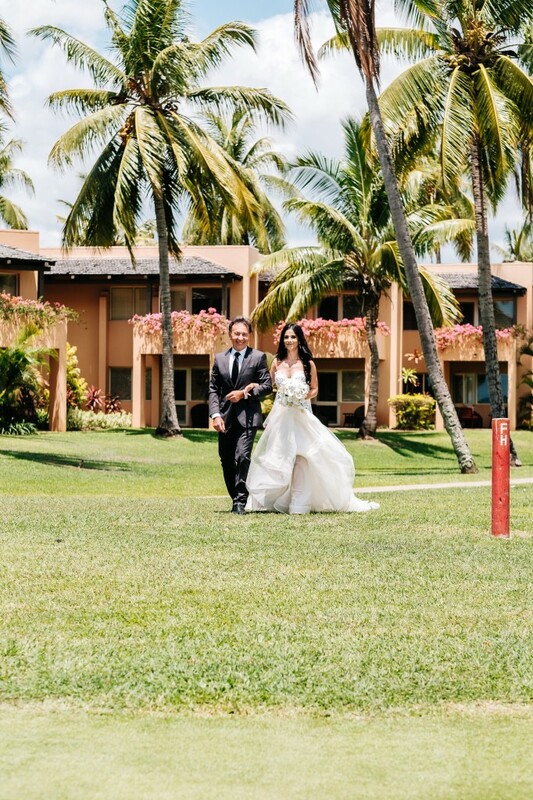 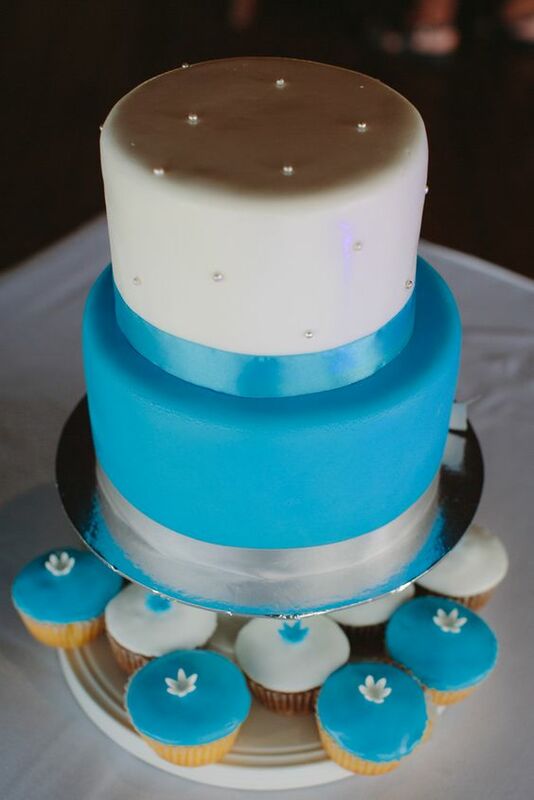 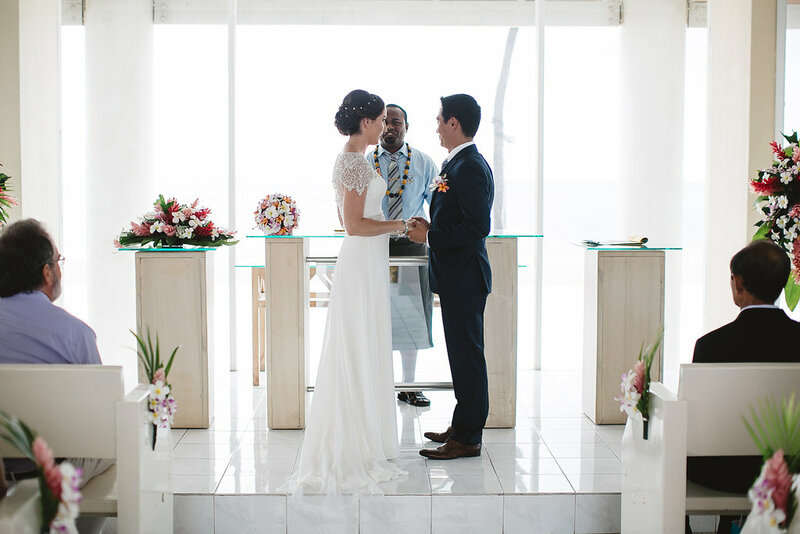 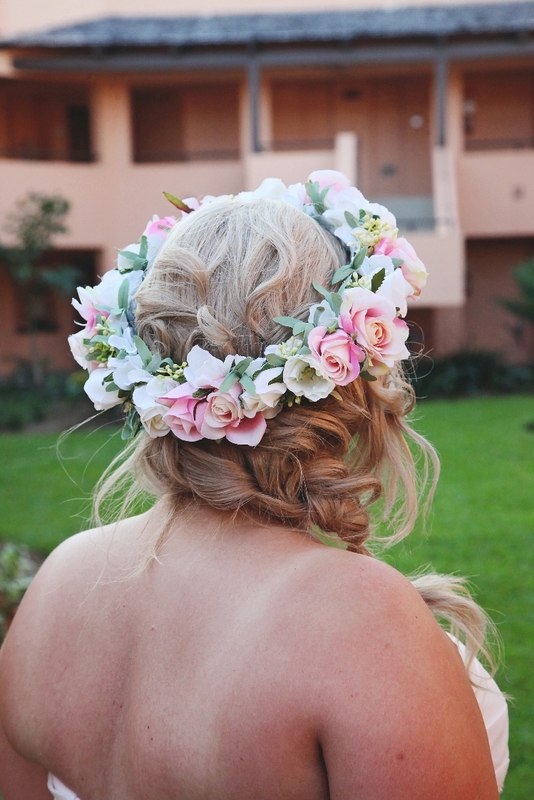 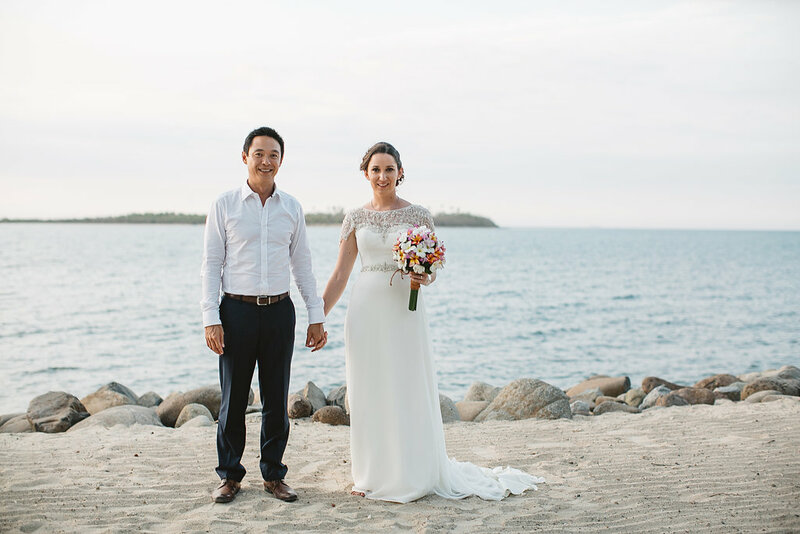 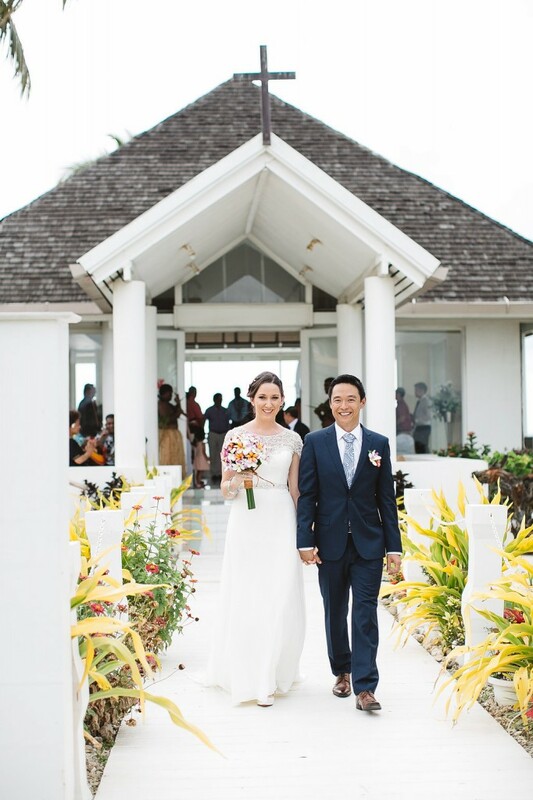 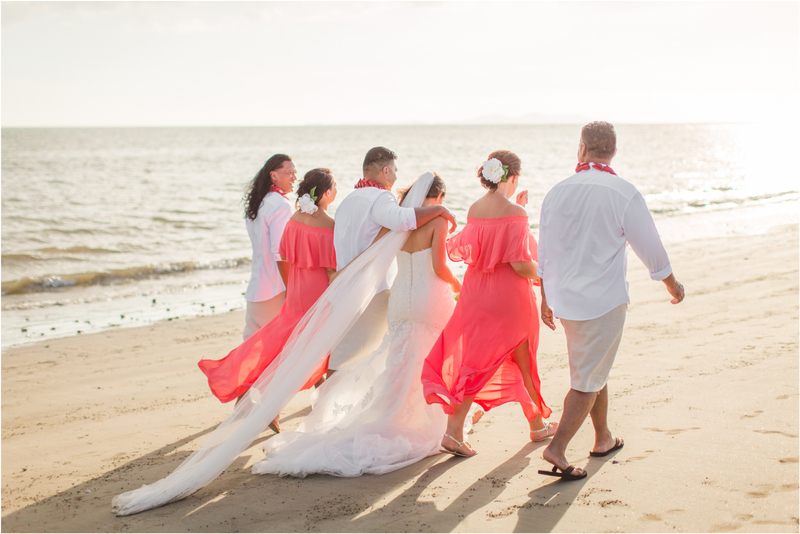 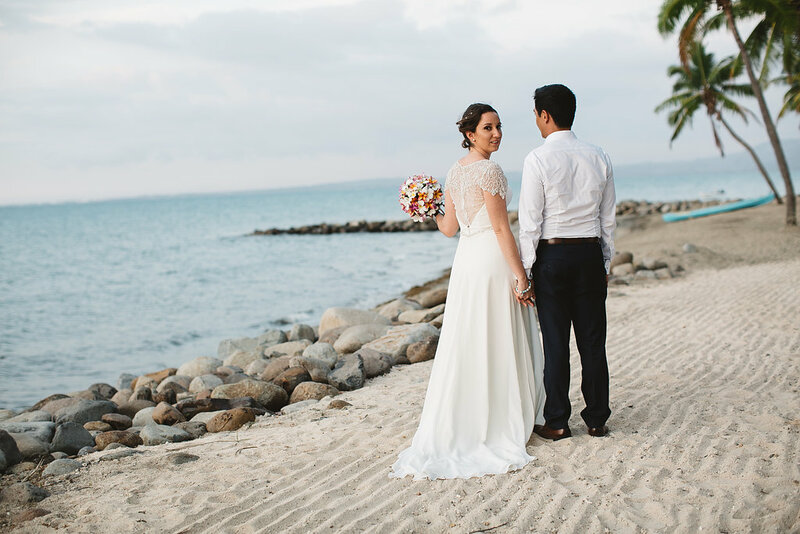 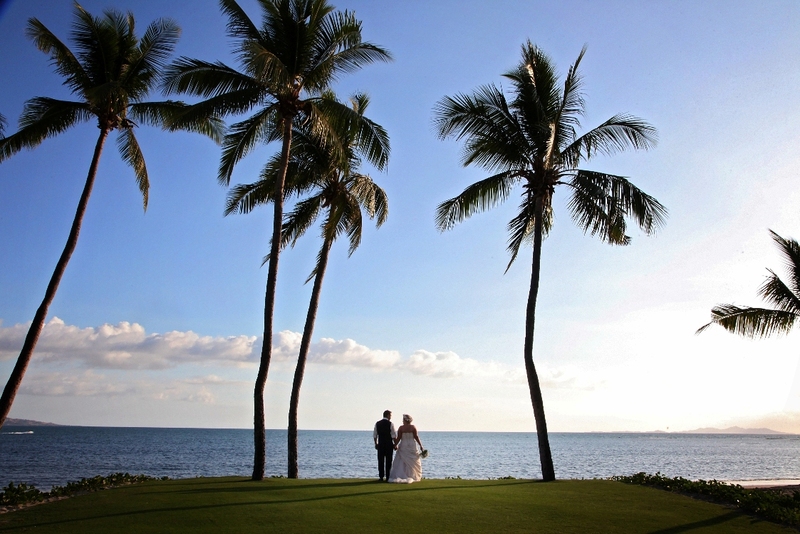 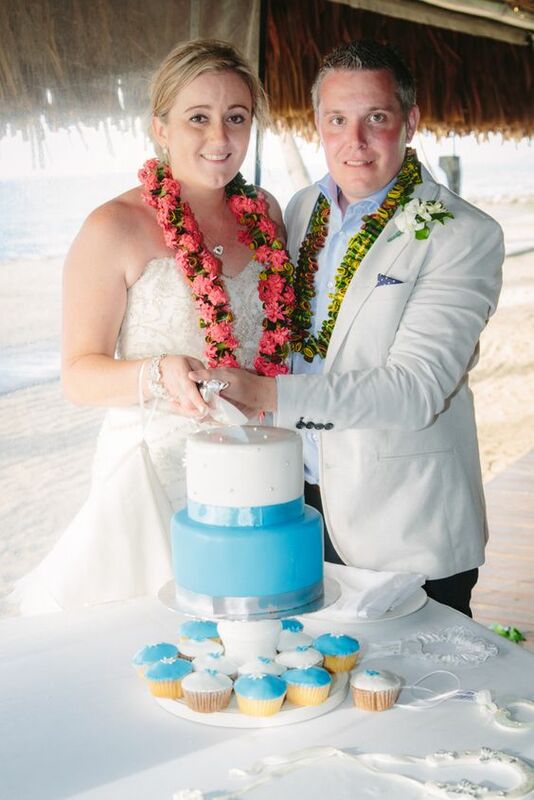 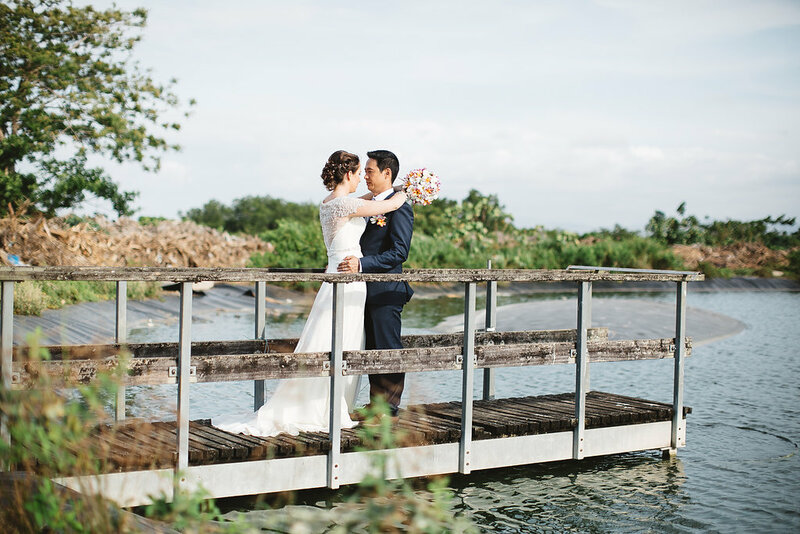 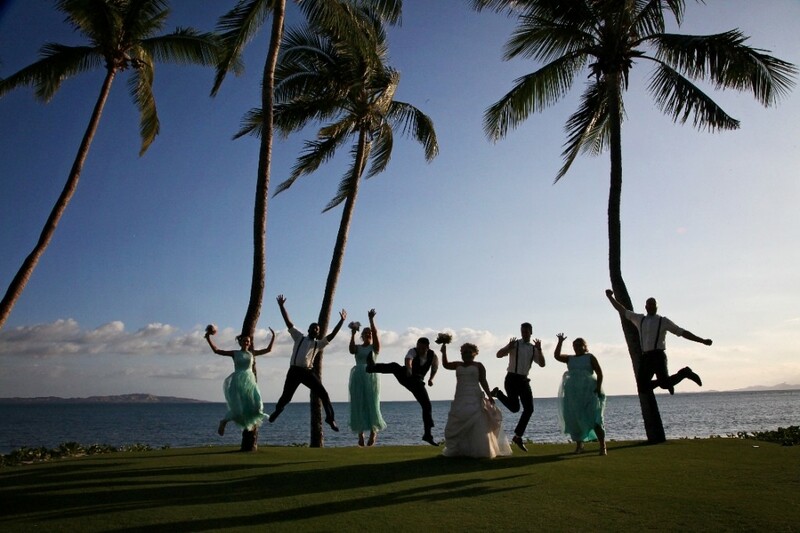 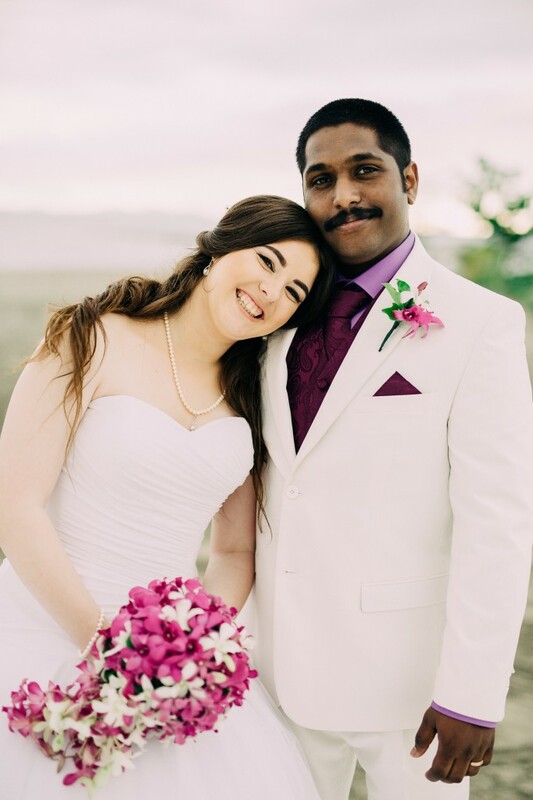 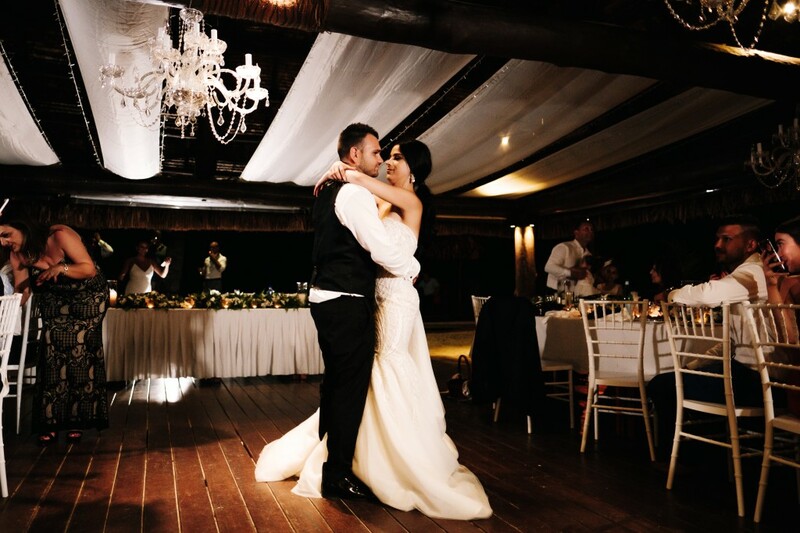 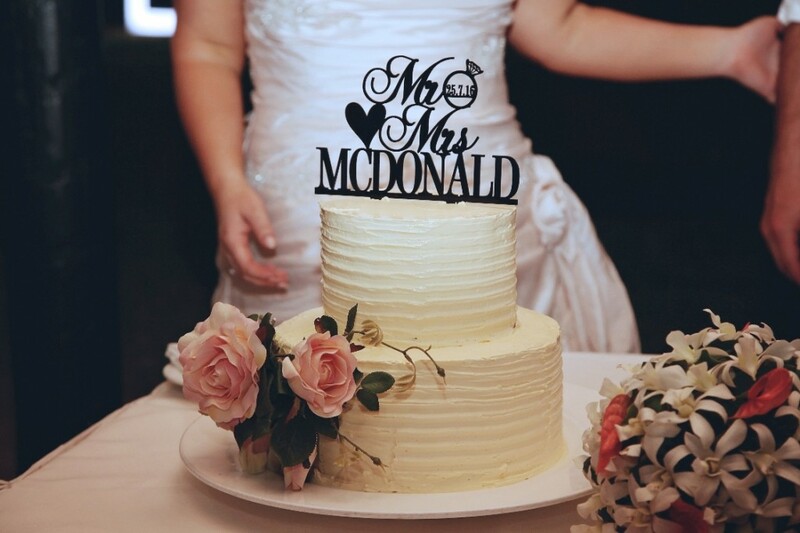 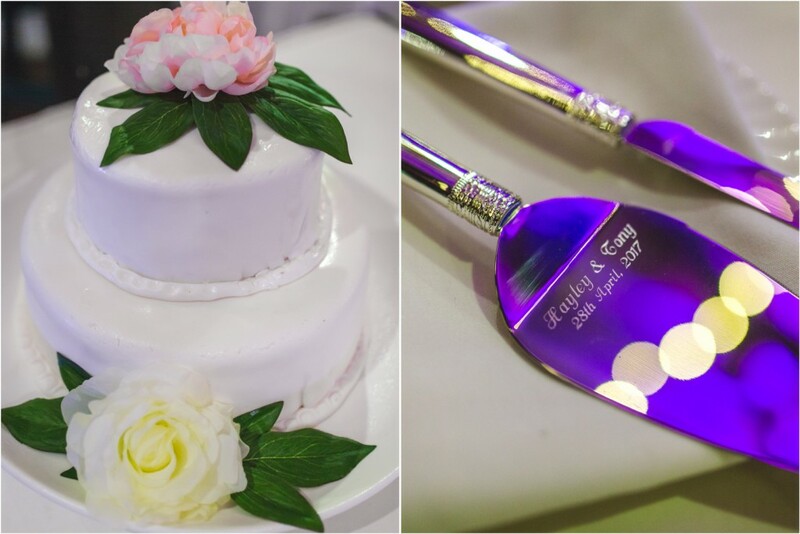 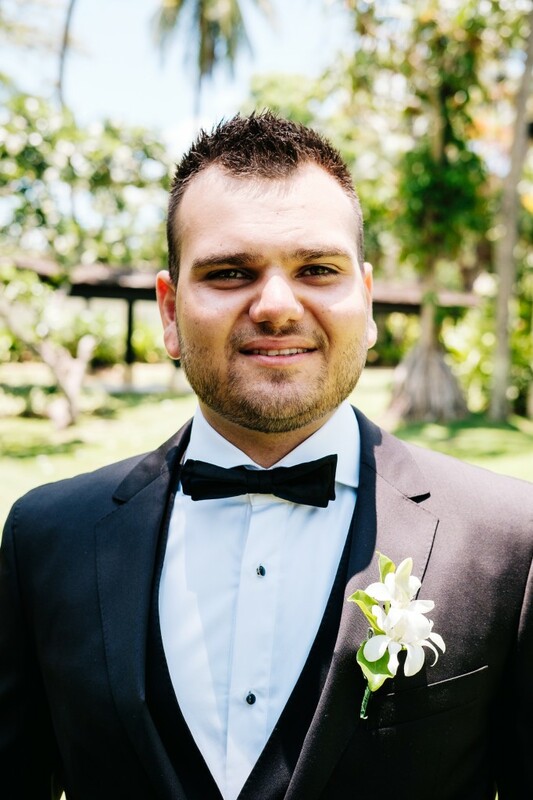 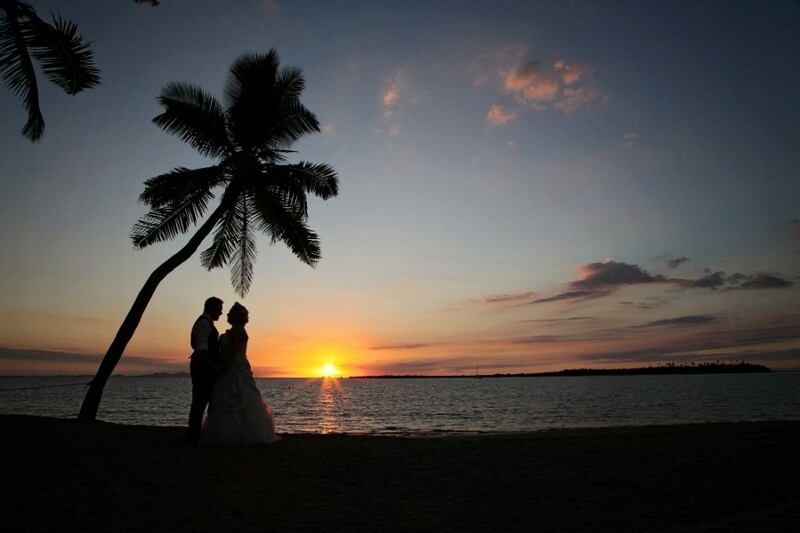 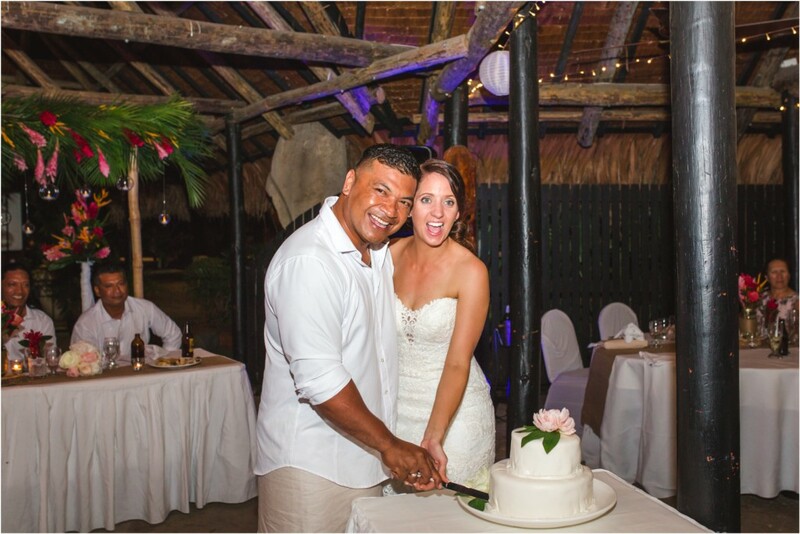 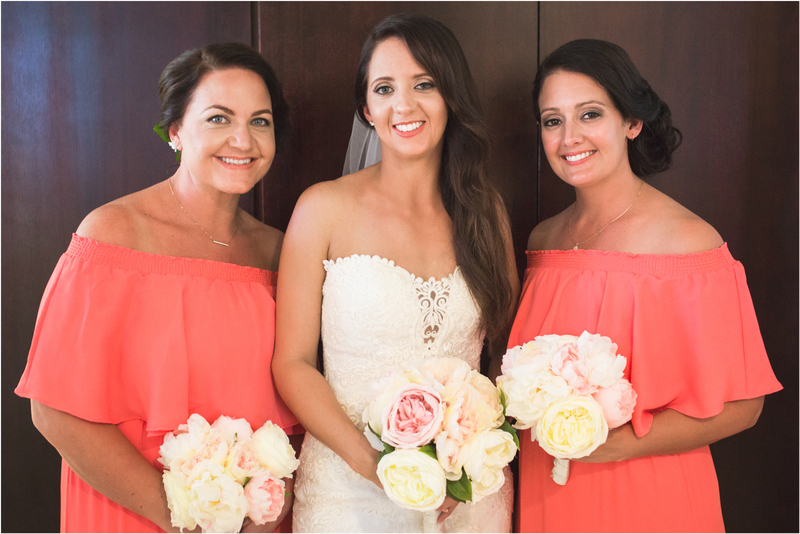 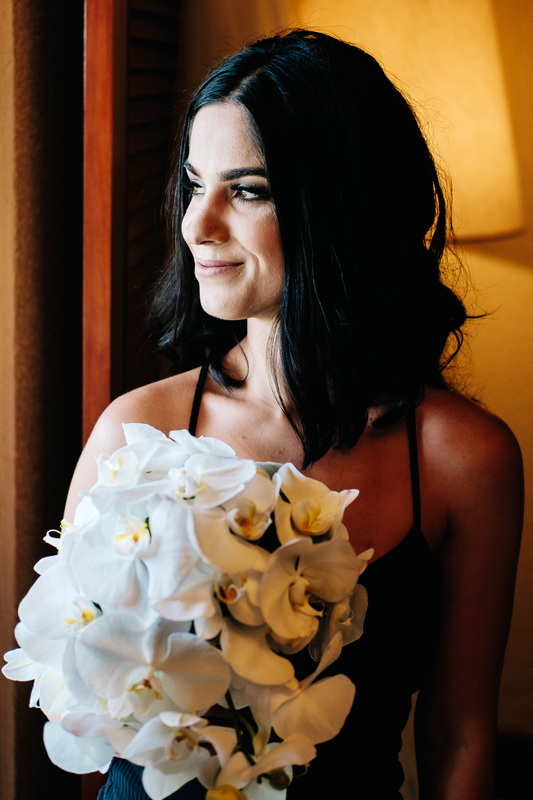 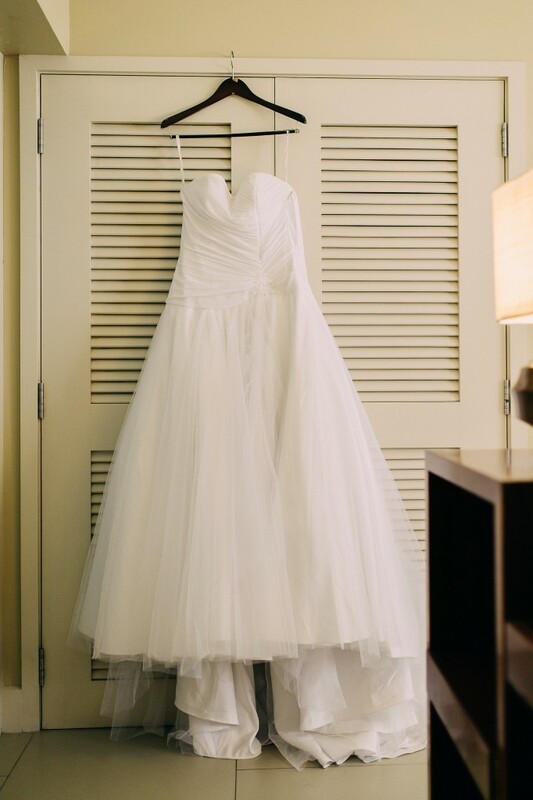 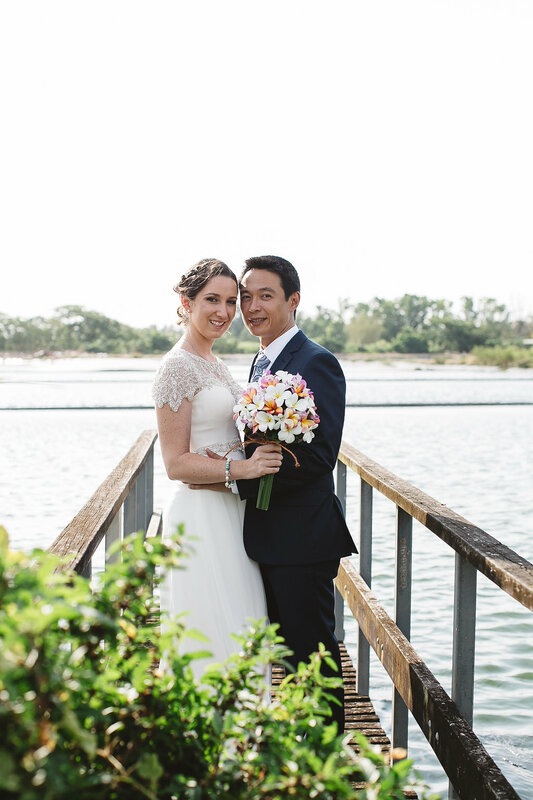 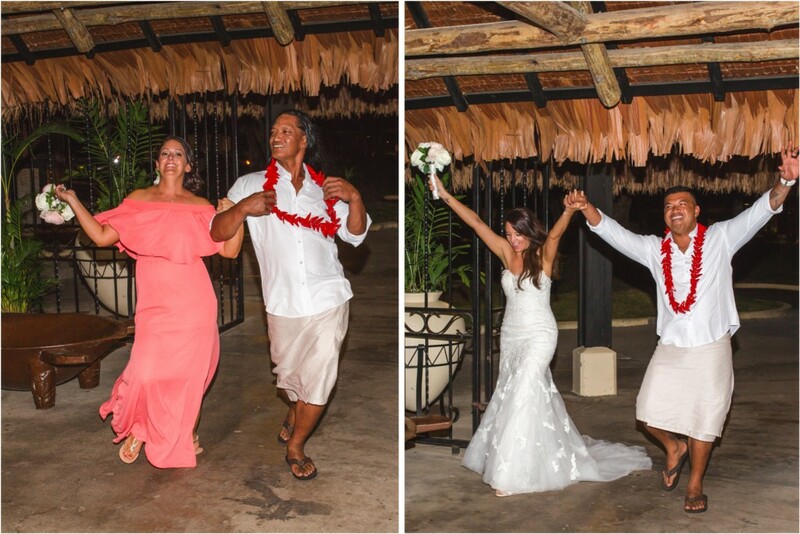 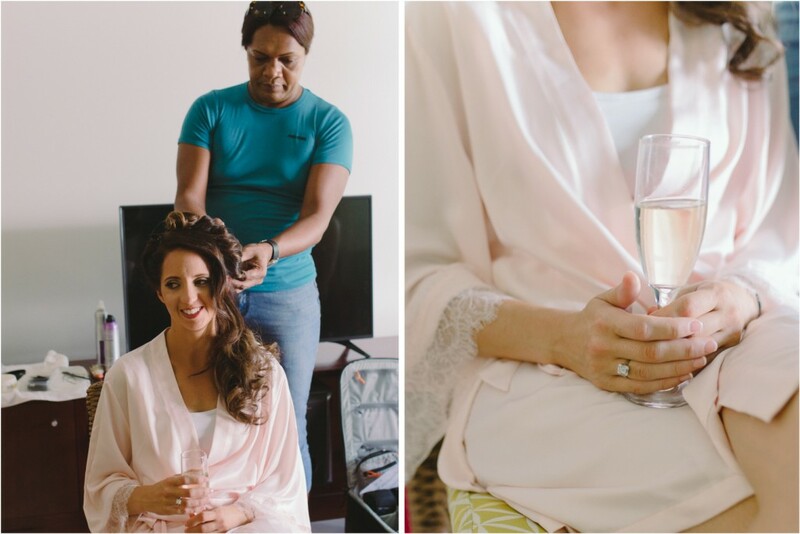 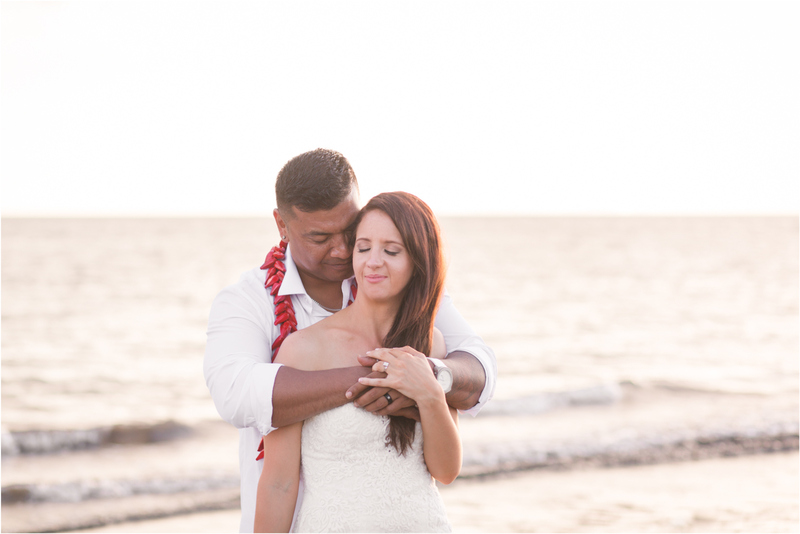 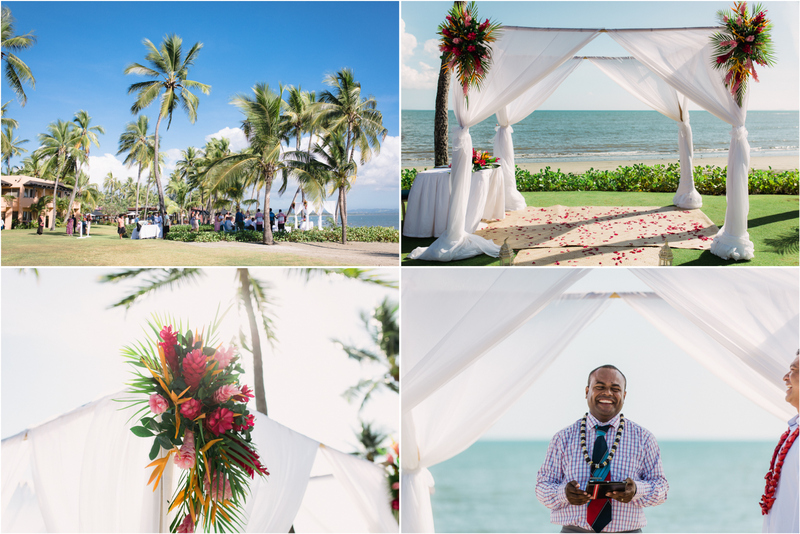 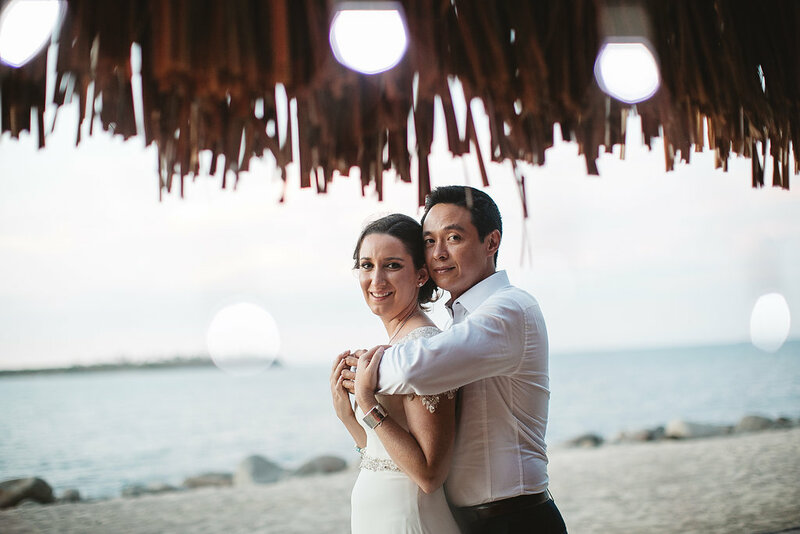 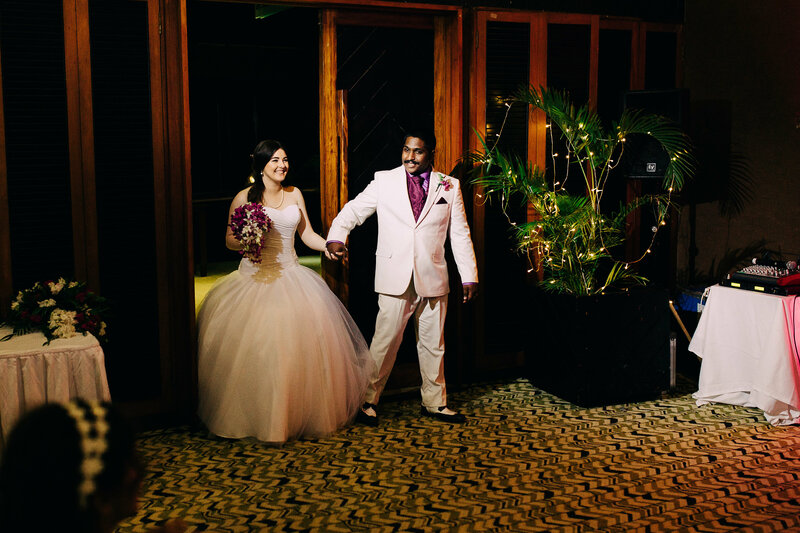 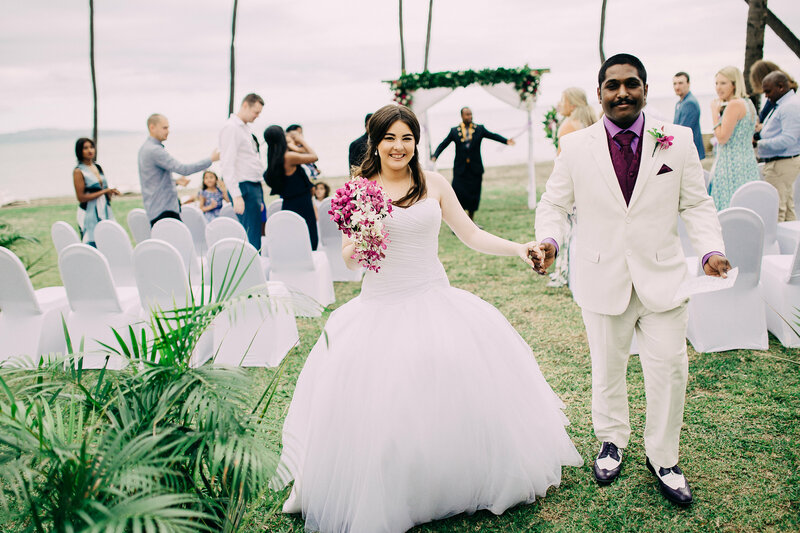 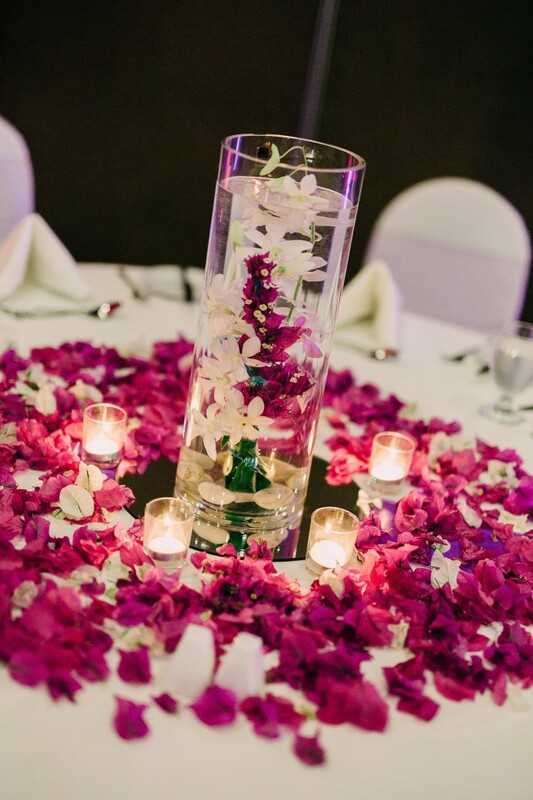 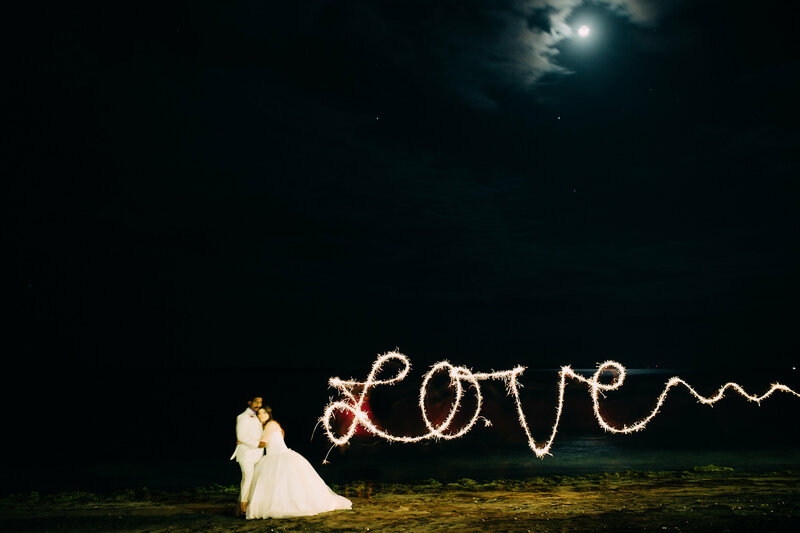 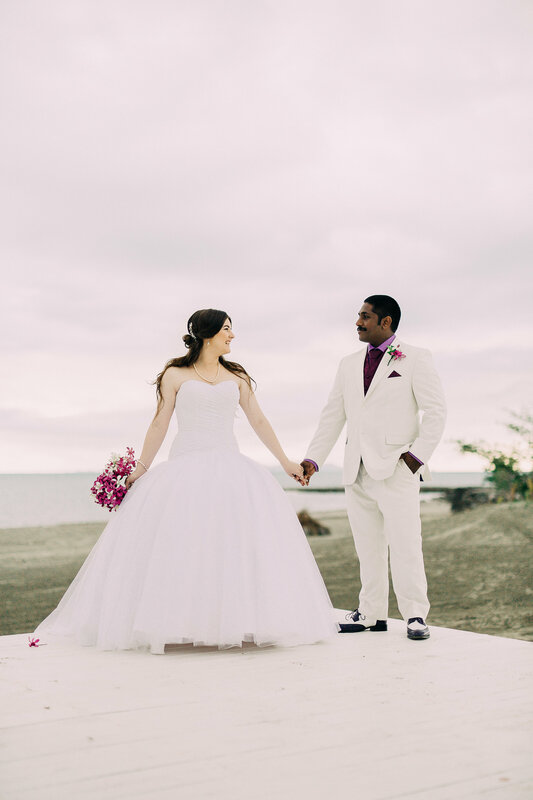 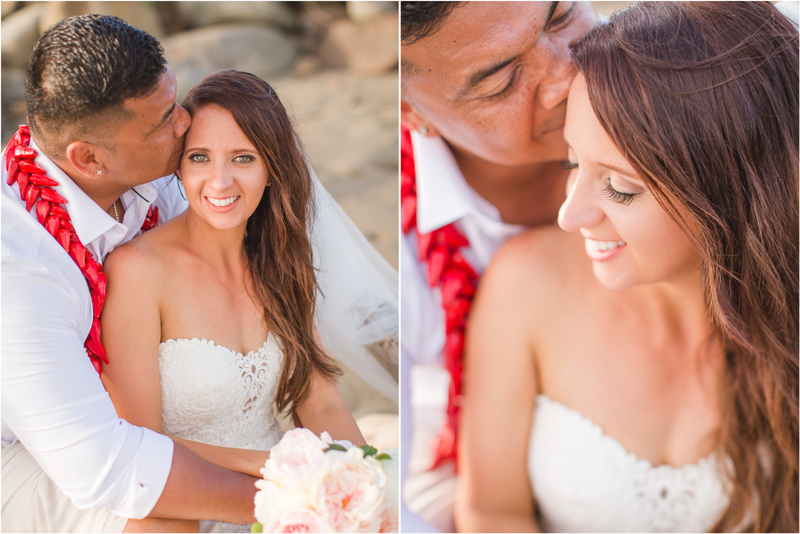 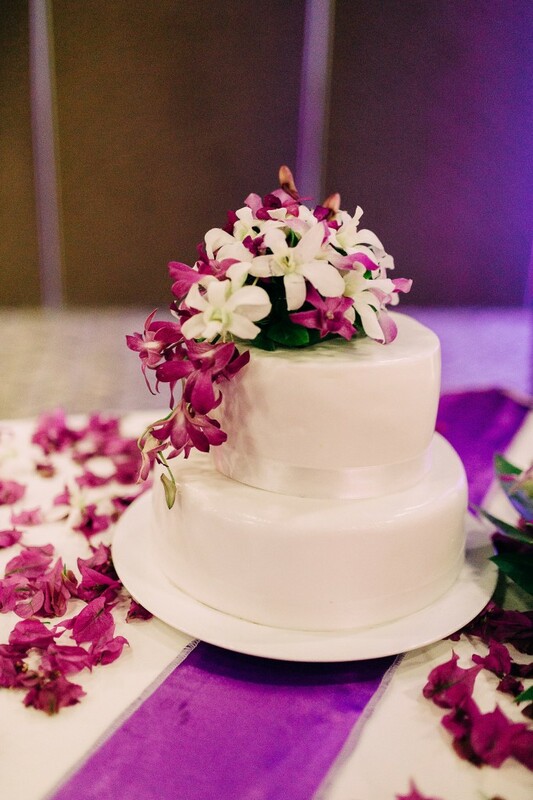 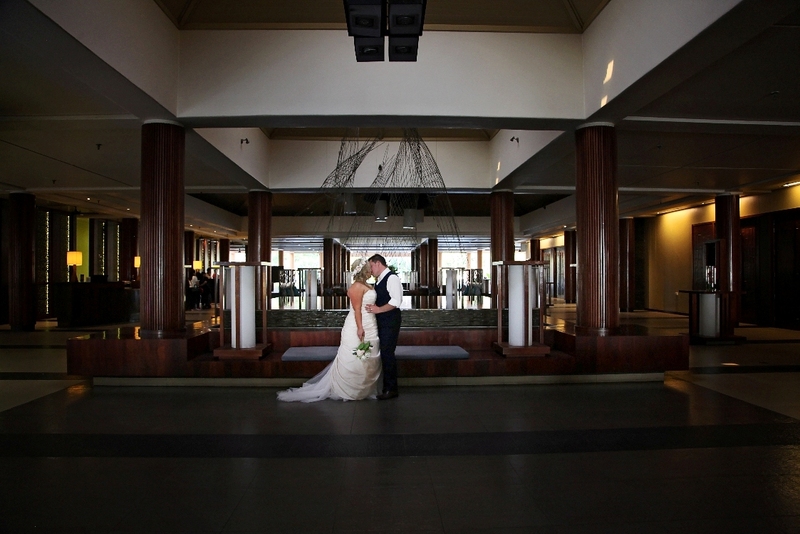 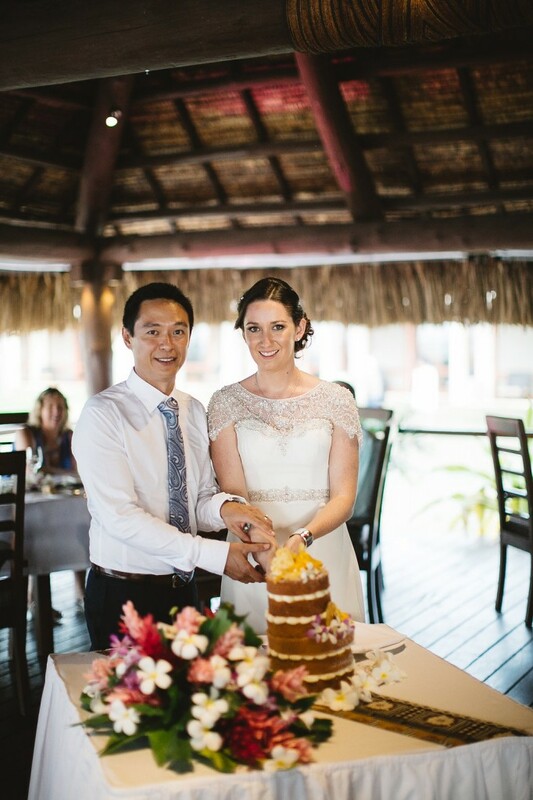 Samantha & Vinny were married at the Sheraton Fiji beachfront followed by a reception in the Westin Ballroom.